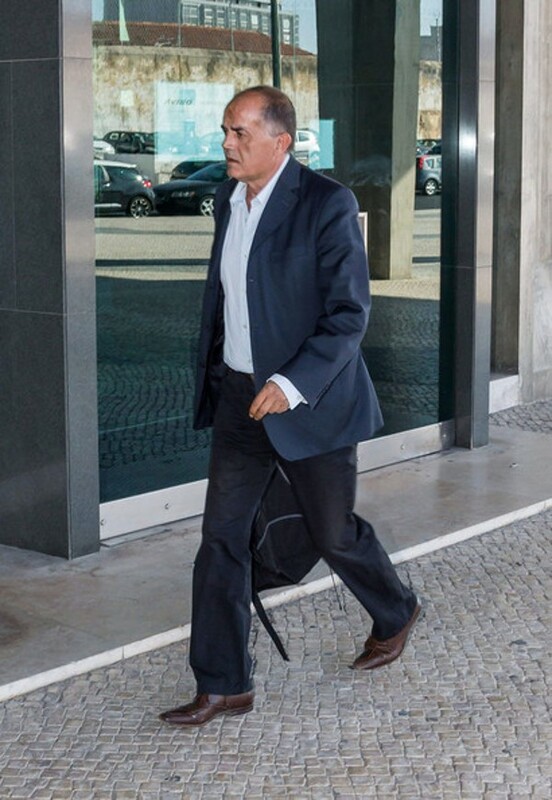 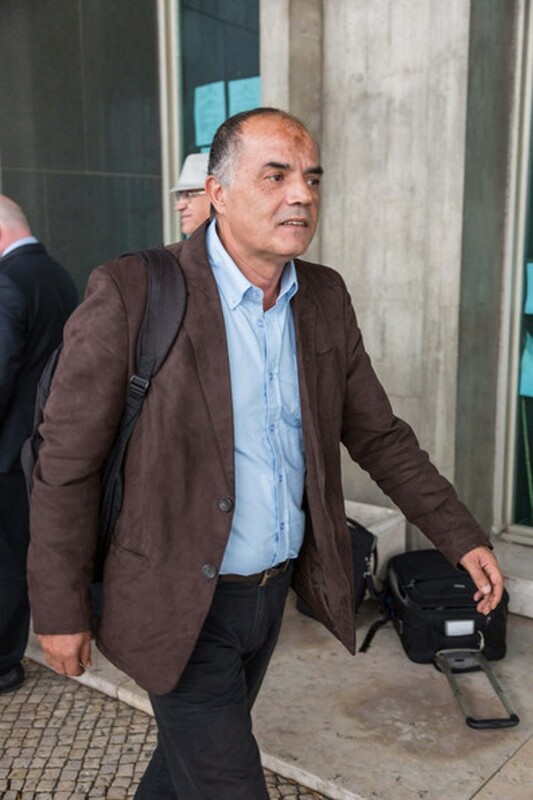 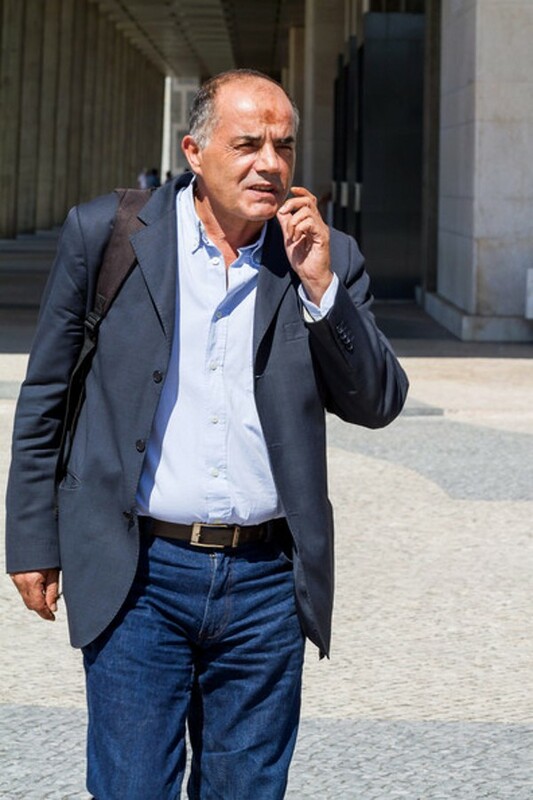 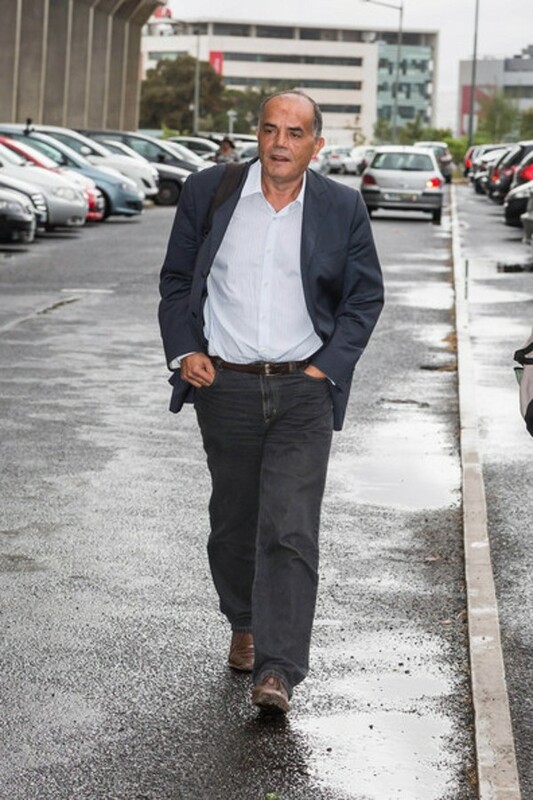 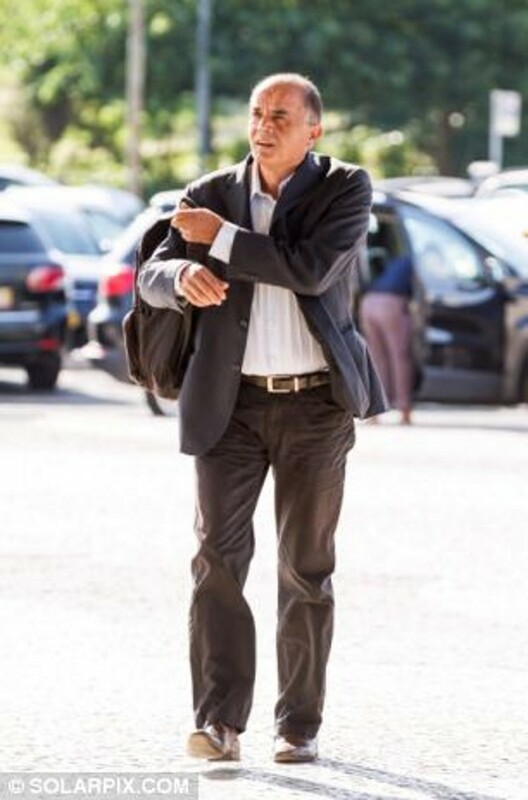 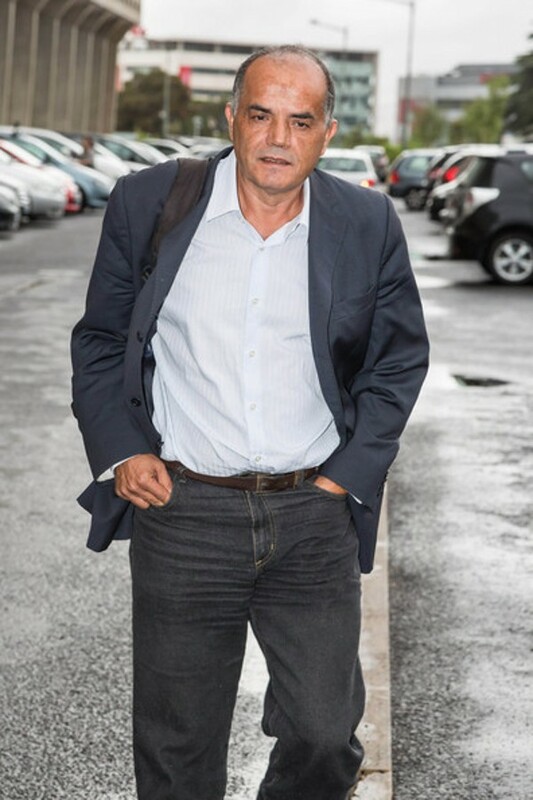 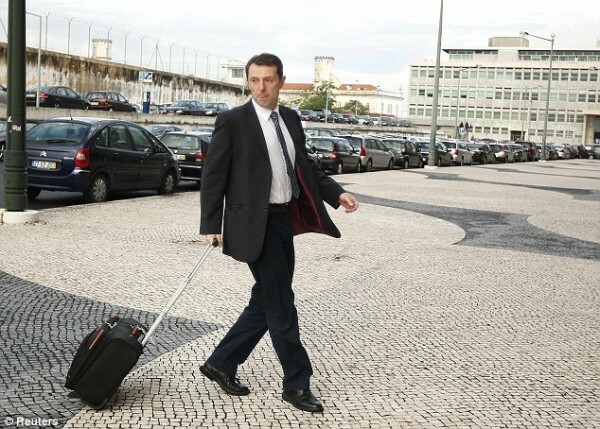 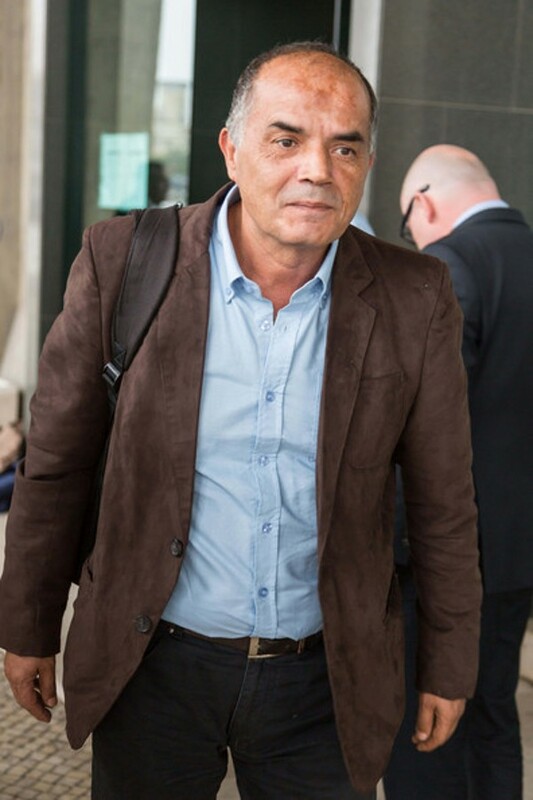 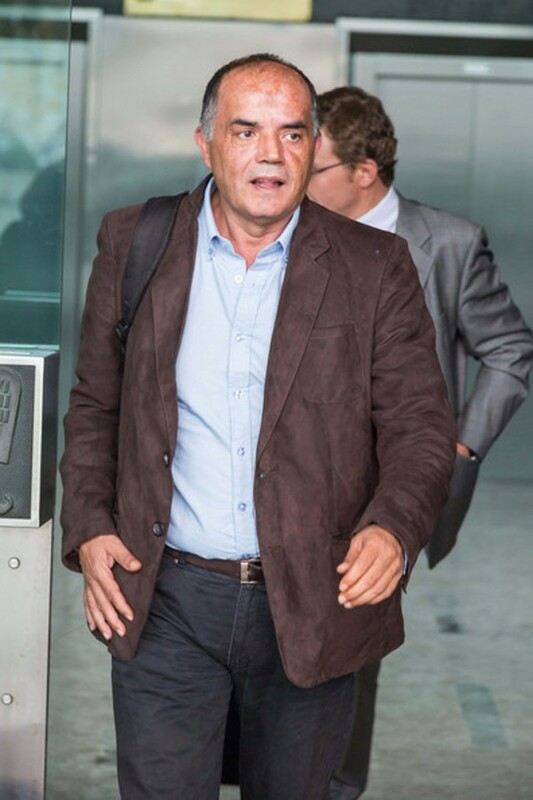 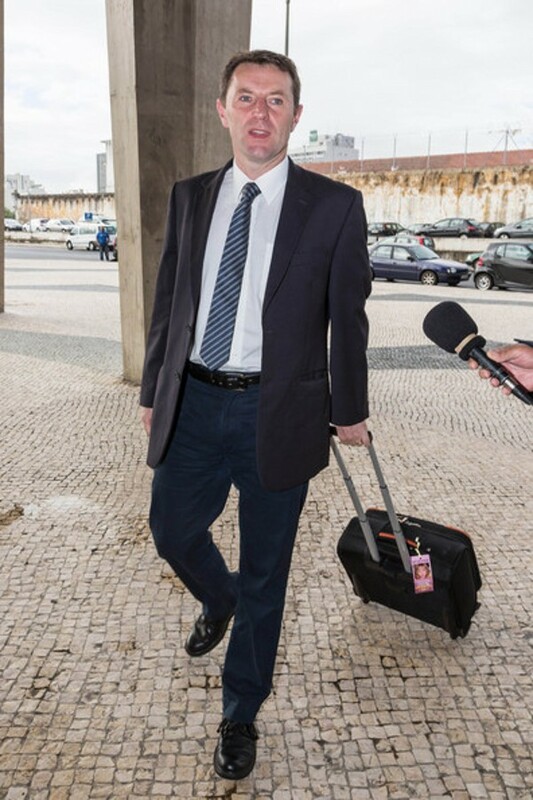 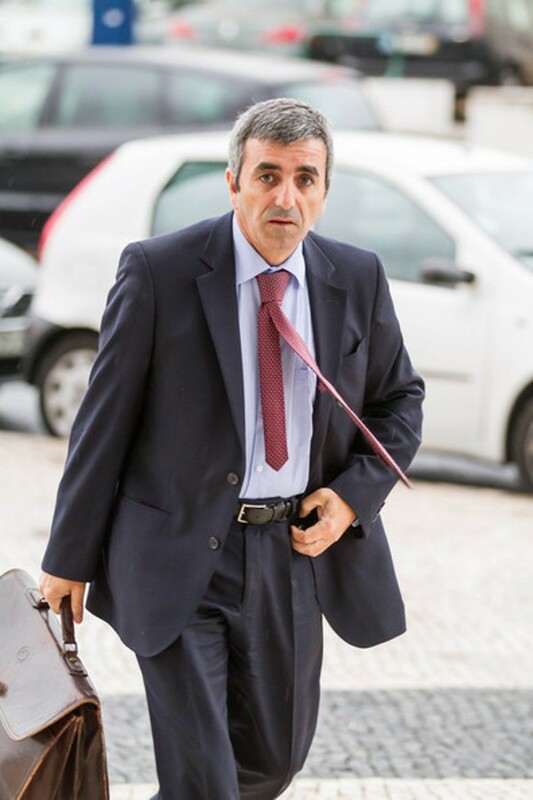 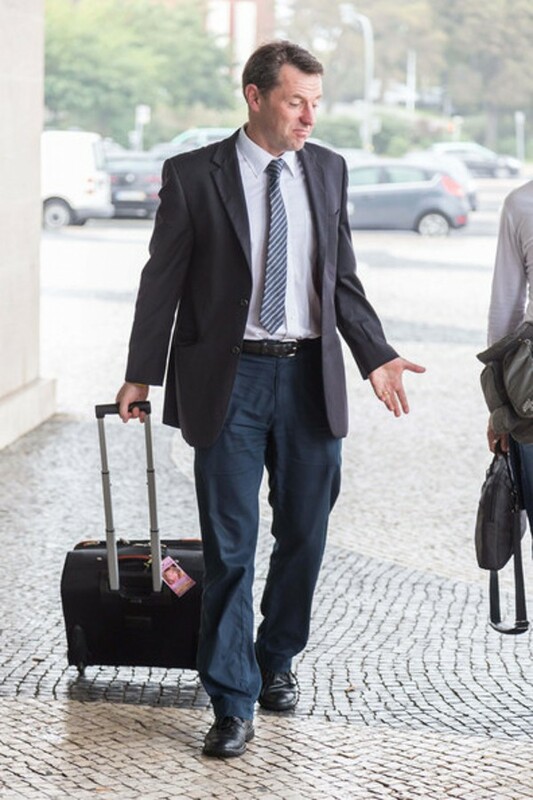 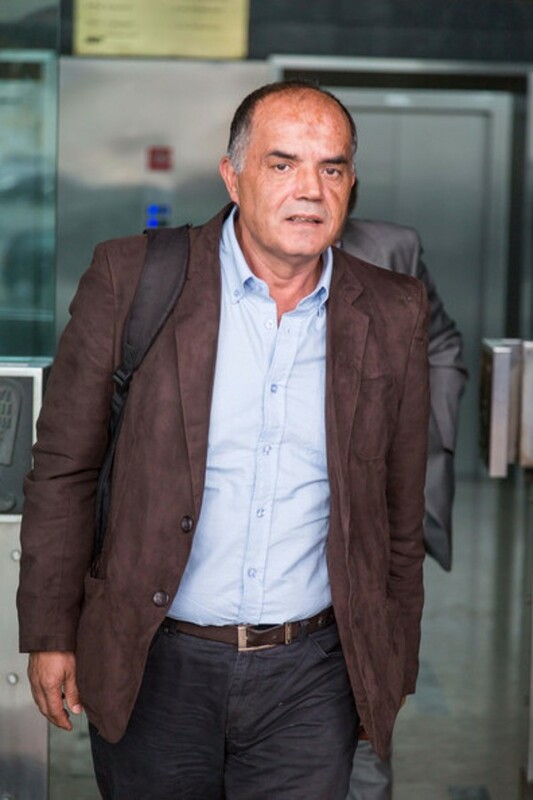 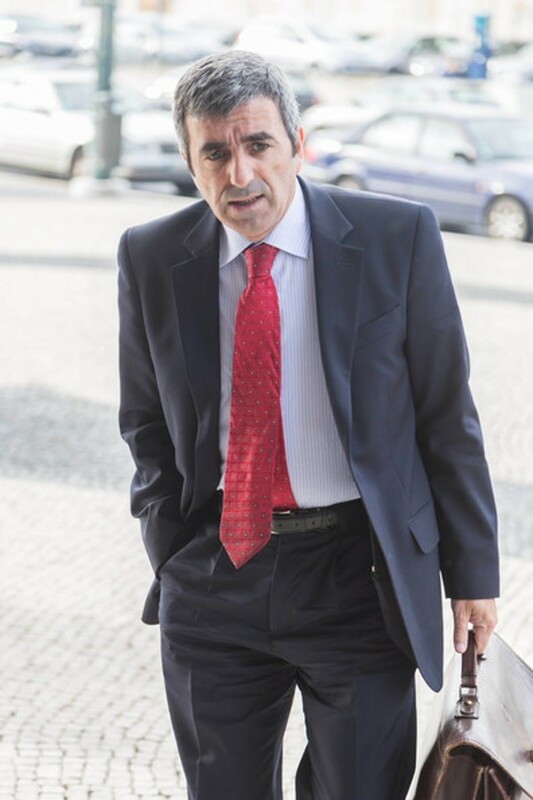 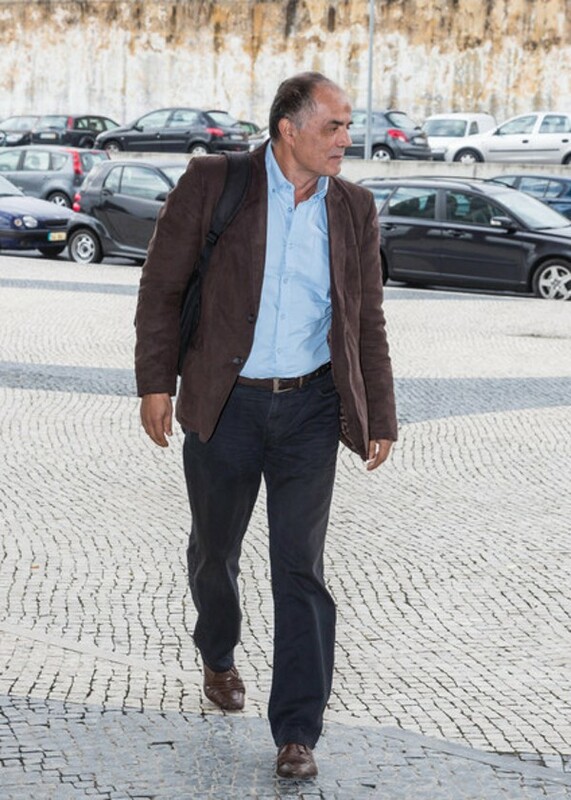 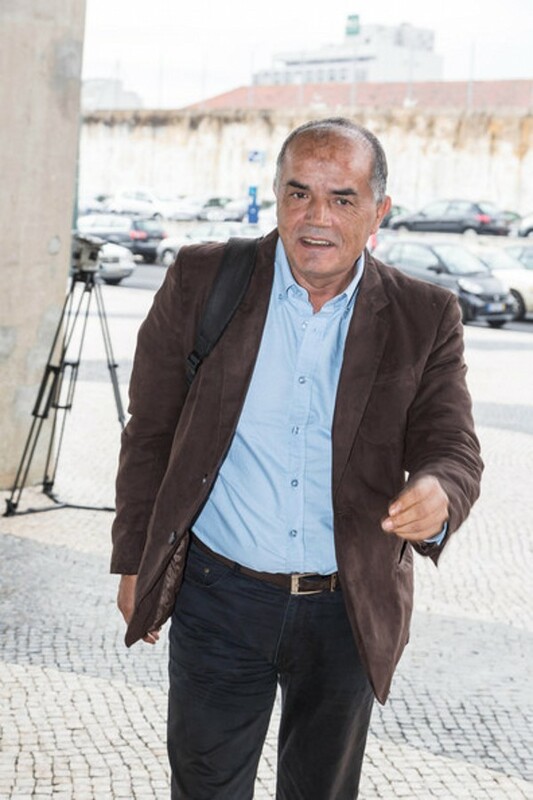 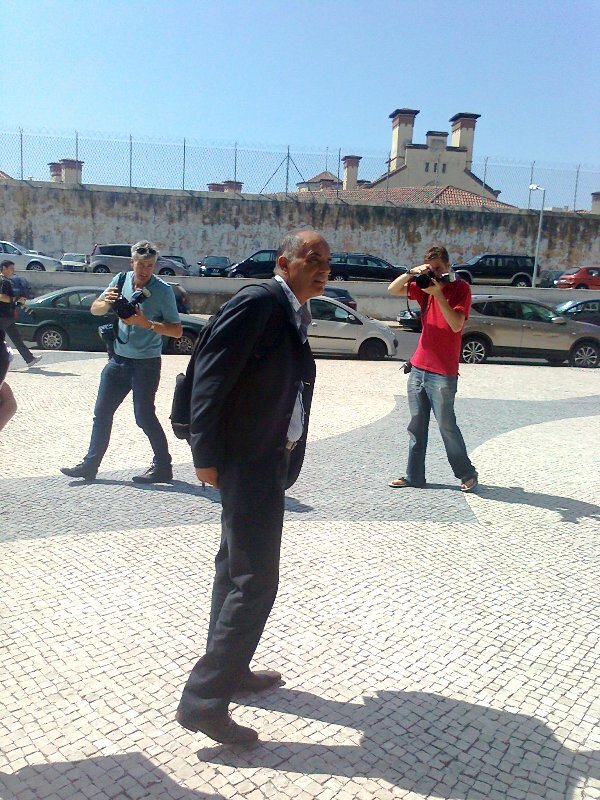 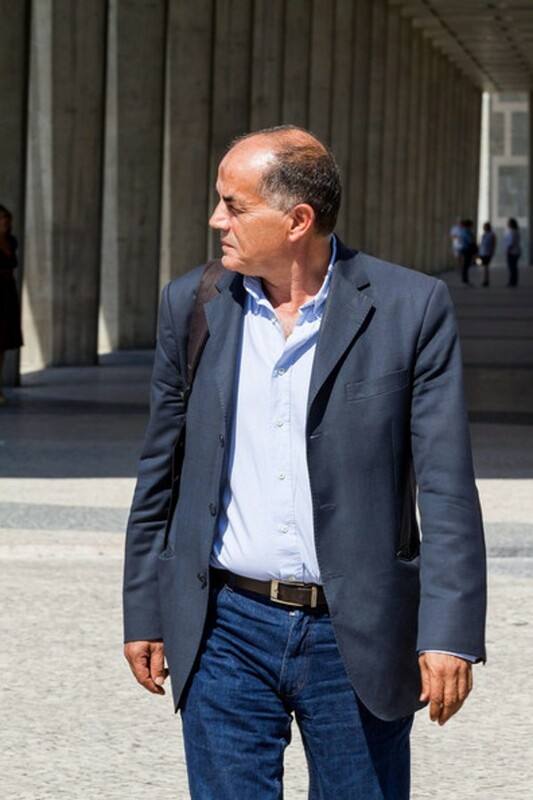 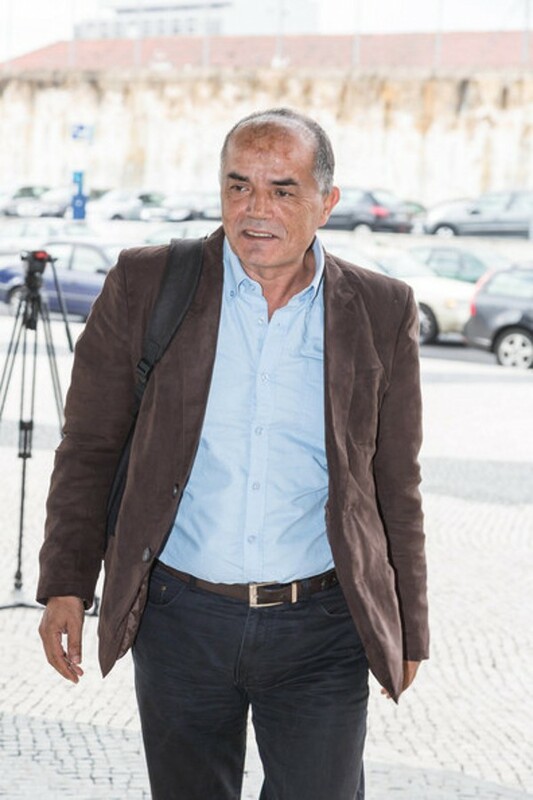 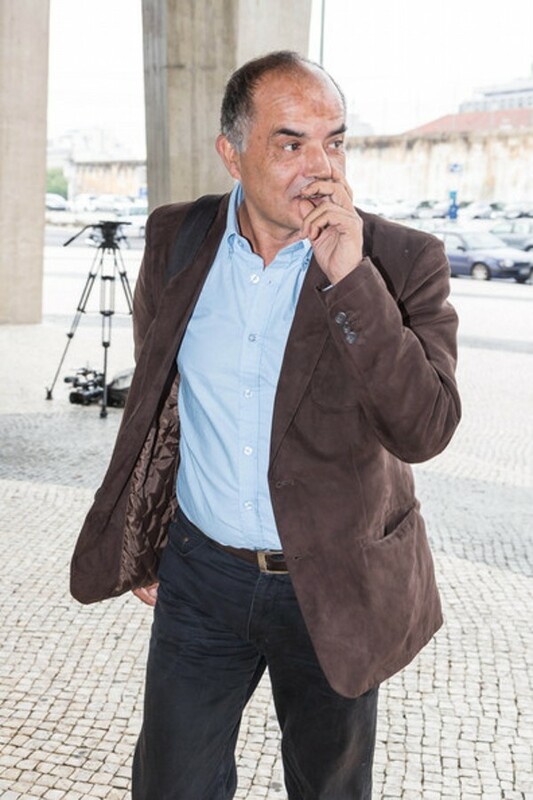 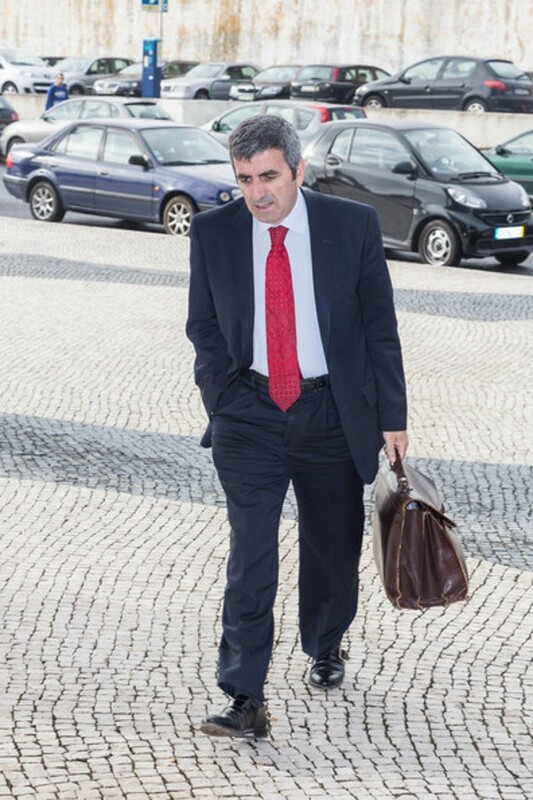 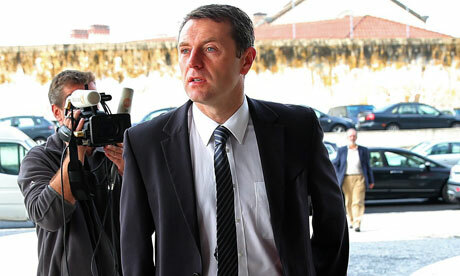 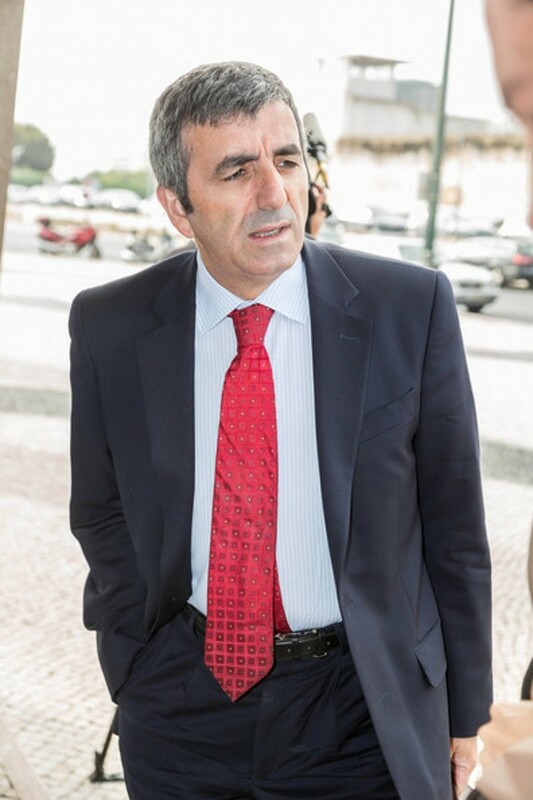 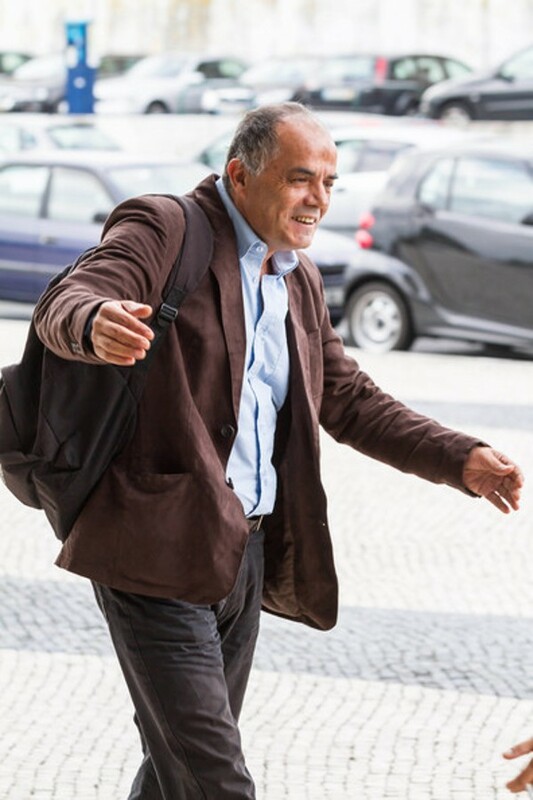 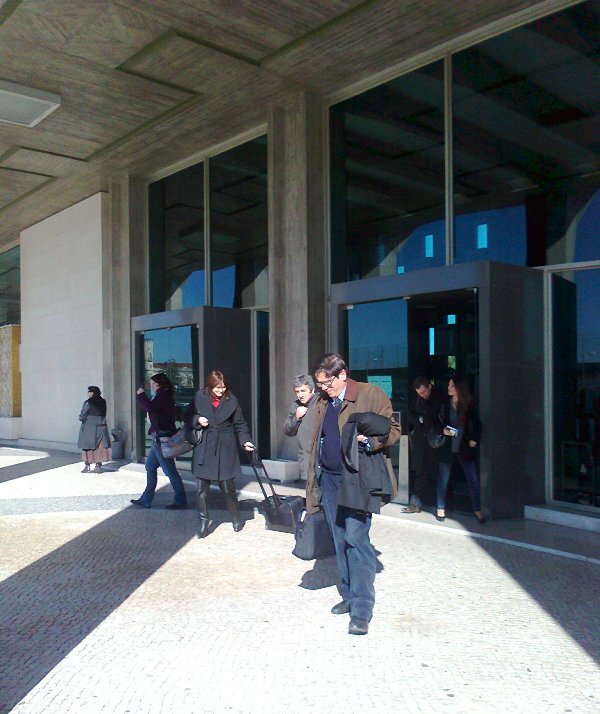 Dr Henrique Costa Pinto (VCFilmes) outside the Palace of Justice, Lisbon, at the end of day 10. 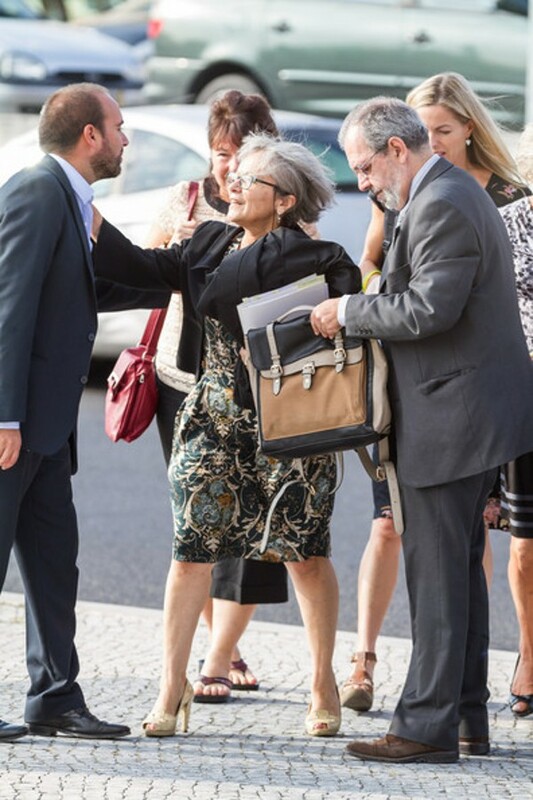 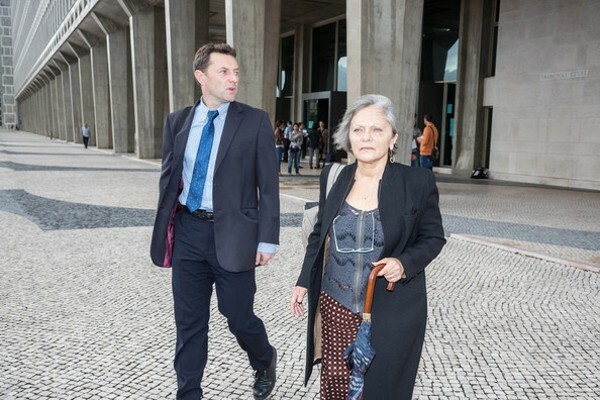 Photo: Anne Guedes Defence advocates Dra Fatima Esteves (G&P), Dr Henrique Costa Pinto (VCFilmes) and Dr Santos de Oliveira (GA) emerge from the Palace of justice at the end of day 10. 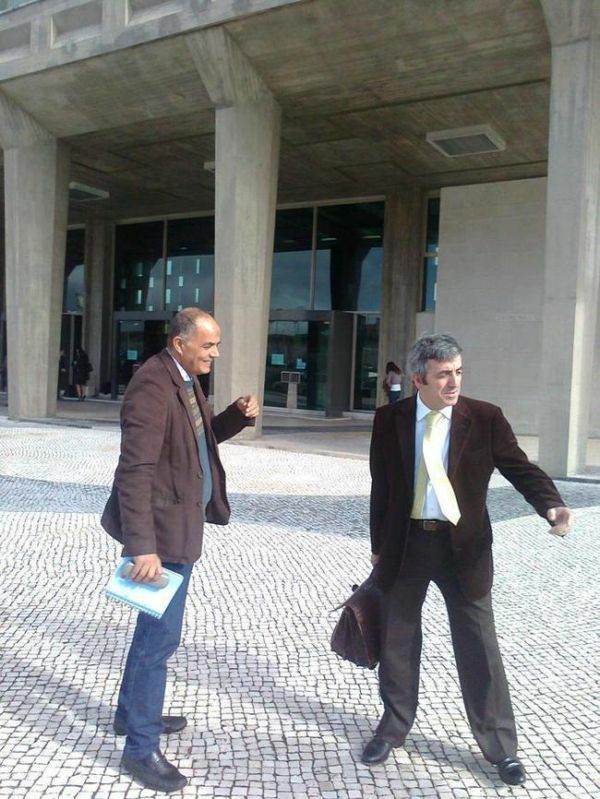 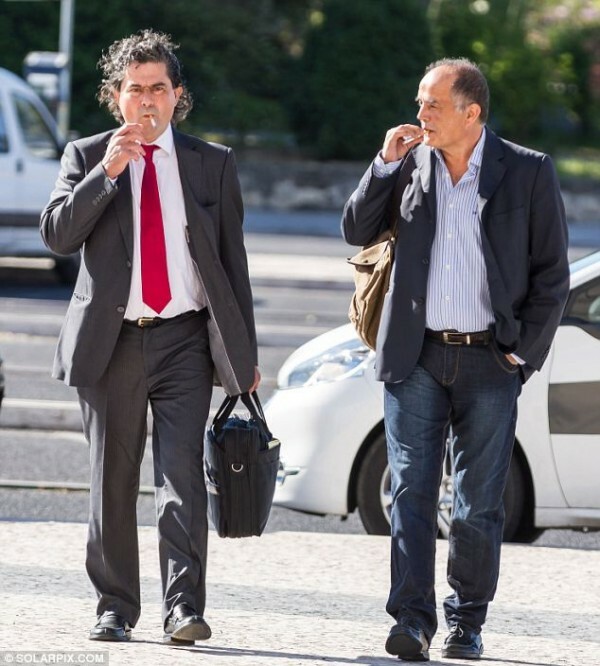 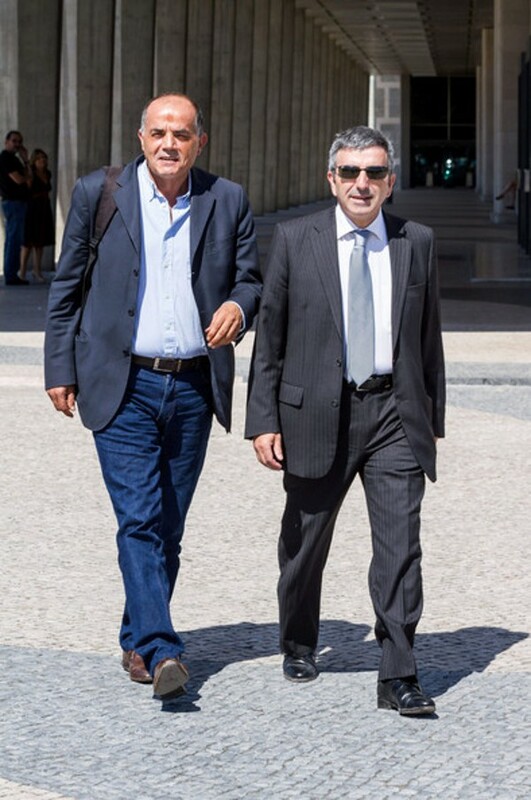 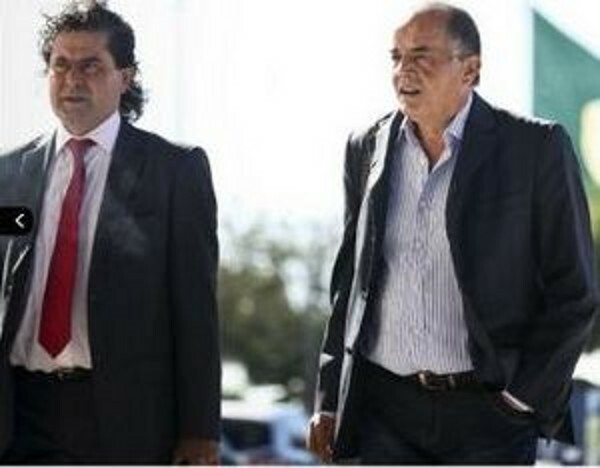 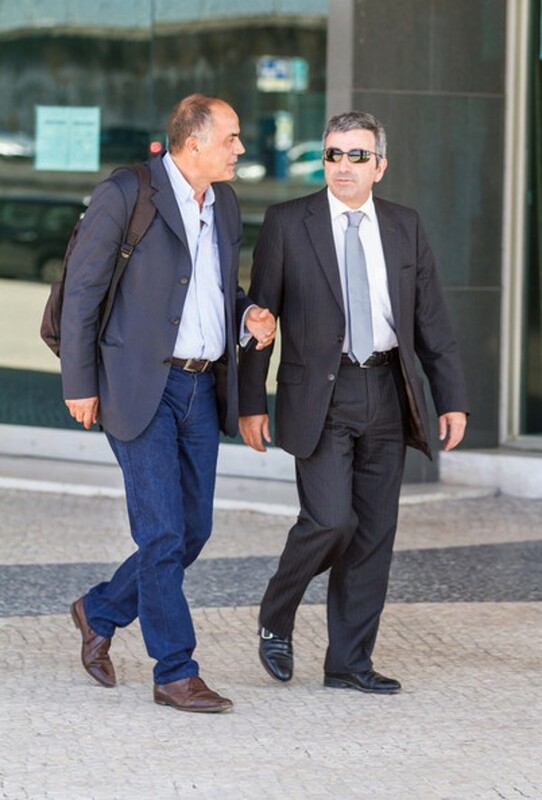 Photo: Anne Guedes Day 8 - Libel trial Dr Gonçalo Amaral and lawyer Dr Santos de Oliveira outside the Palace of Justice, Lisbon, earlier today. 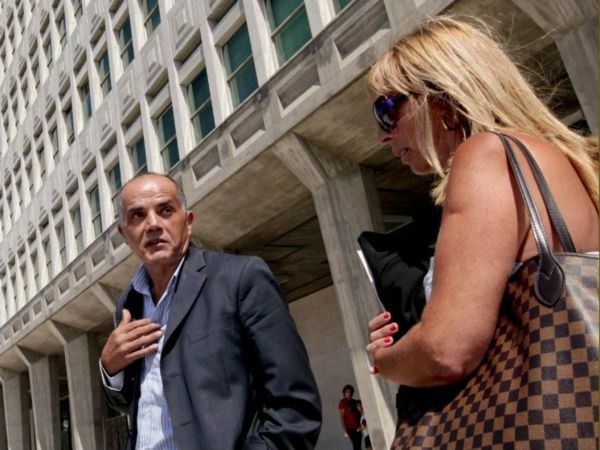 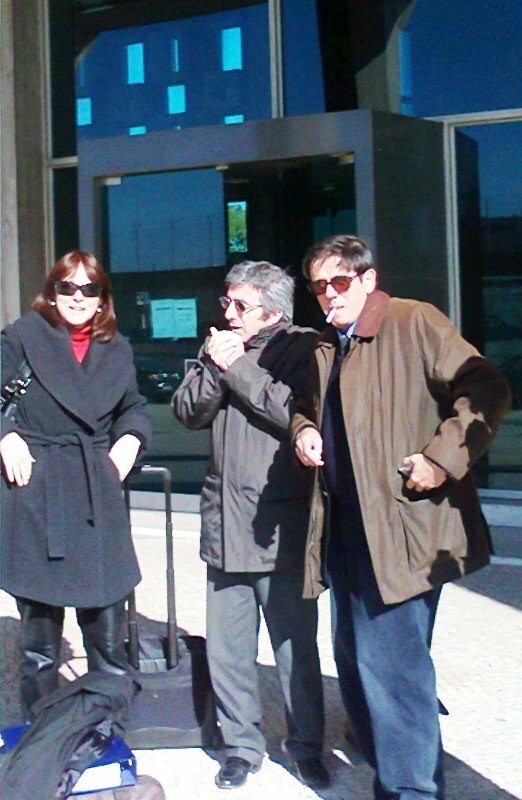 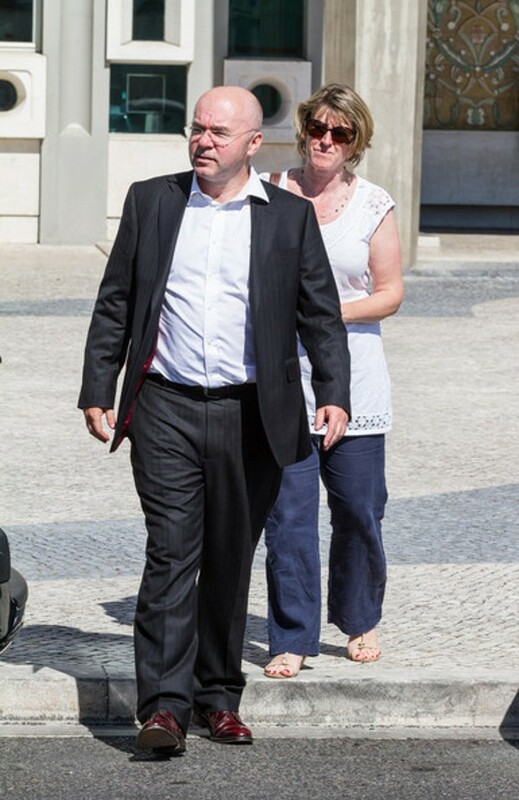 Photo: Anne Guedes Dr Amaral and Manuel Catarino (Principal Writer - Correio da Manhã) pose for Anne outside the Palace of Justice in Lisbon earlier today. 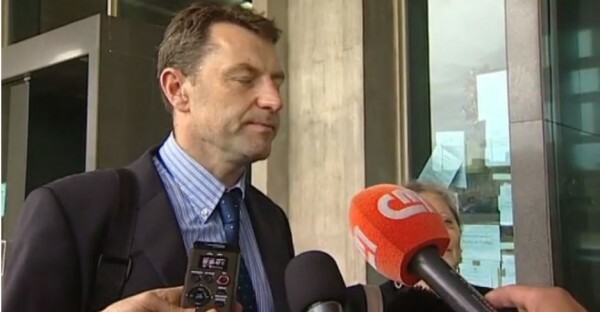 Local Guy sends text to UK media thus why they end up with virtually the same script. 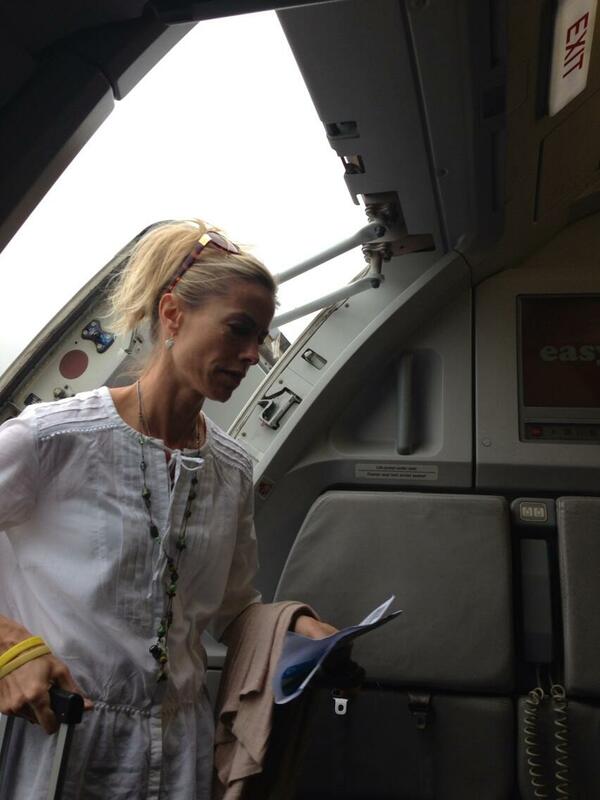 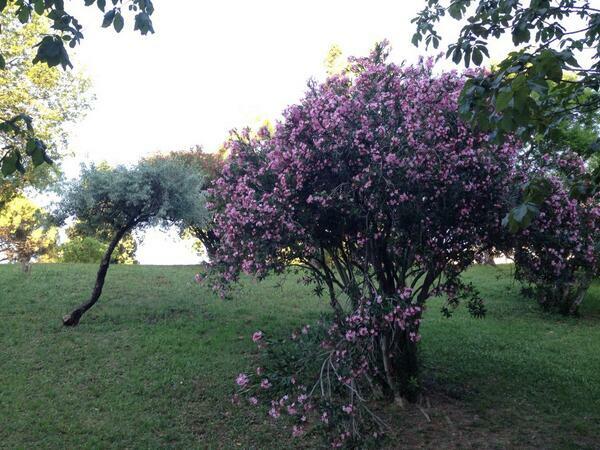 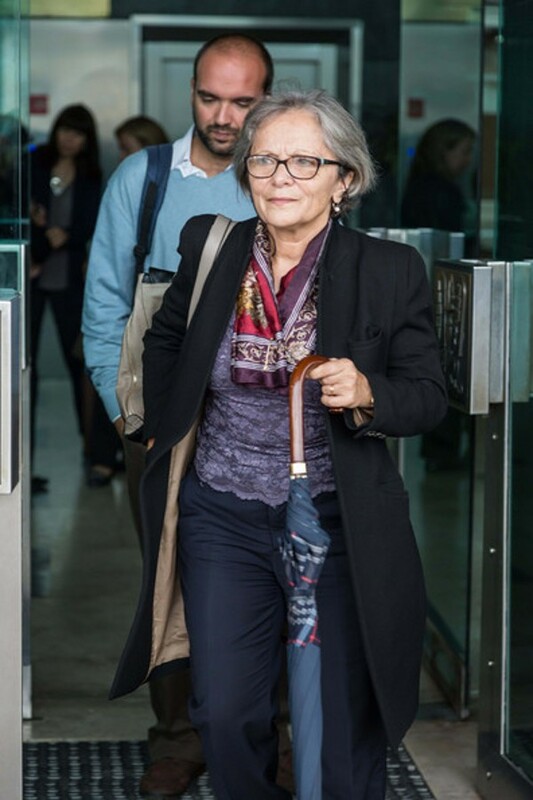 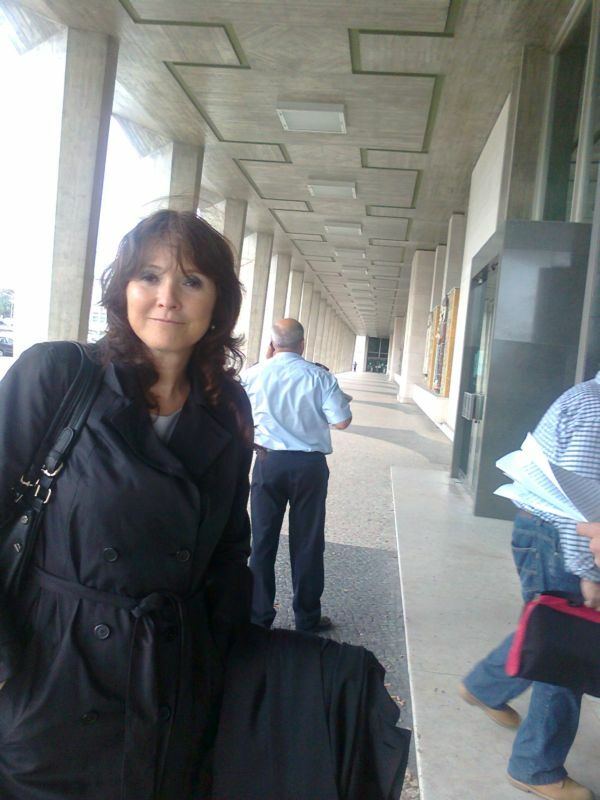 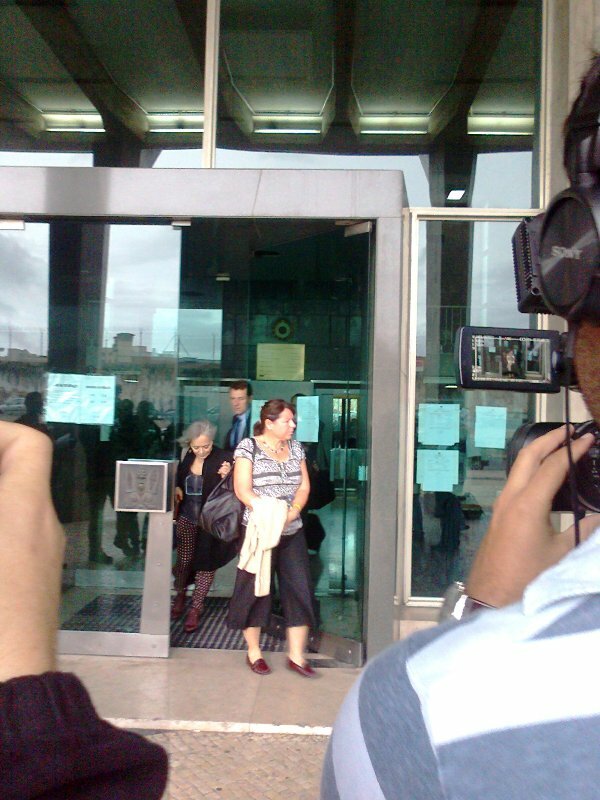 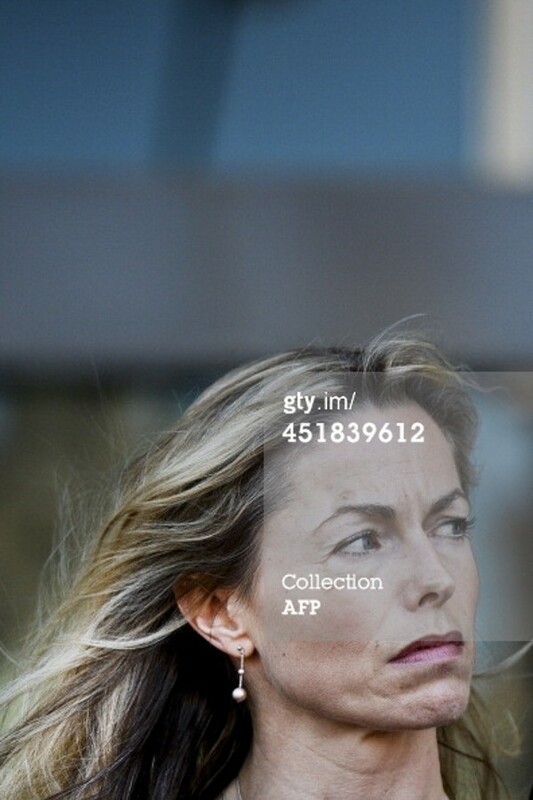 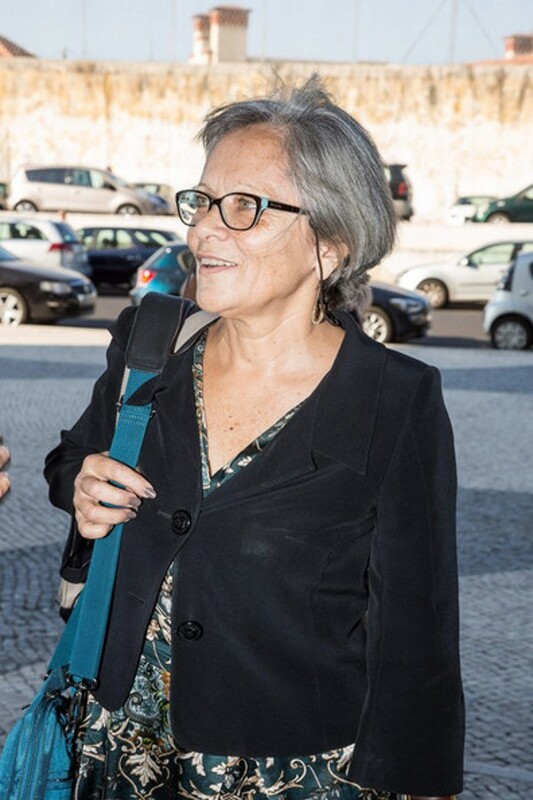 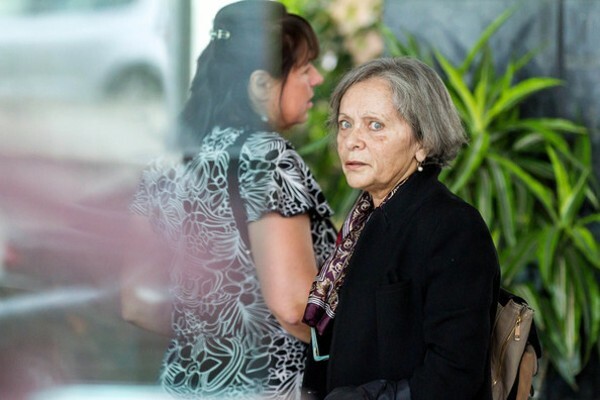 Photo: Anne Guedes Fátima Esteves, the lawyer for Guerra & Paz. 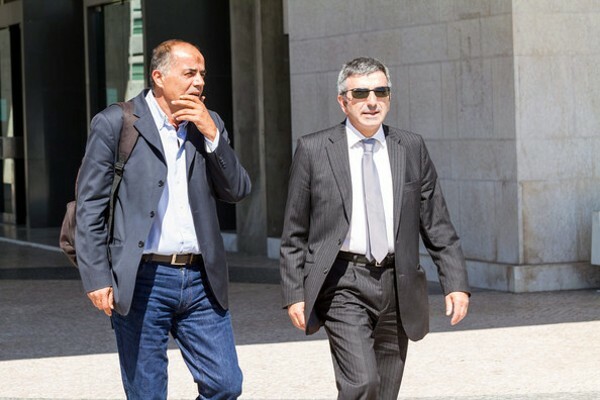 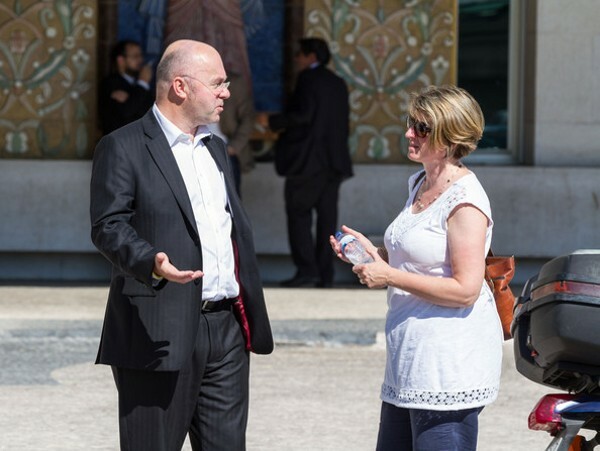 Photo by Anne Guedes Dr Gonçalo Amaral and lawyer, Dr Santos de Oliveira, brief the waiting Press outside the Palace of Justice, Lisbon, earlier today. 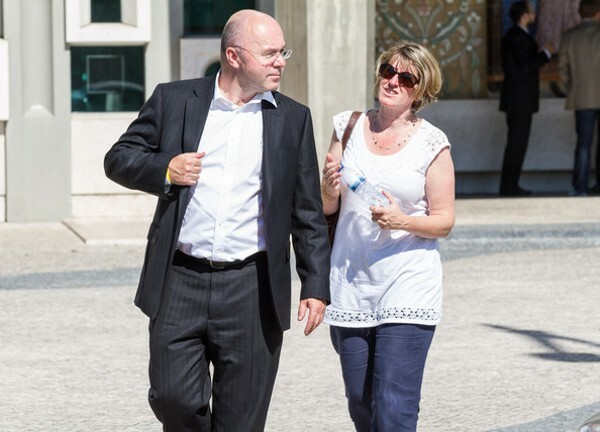 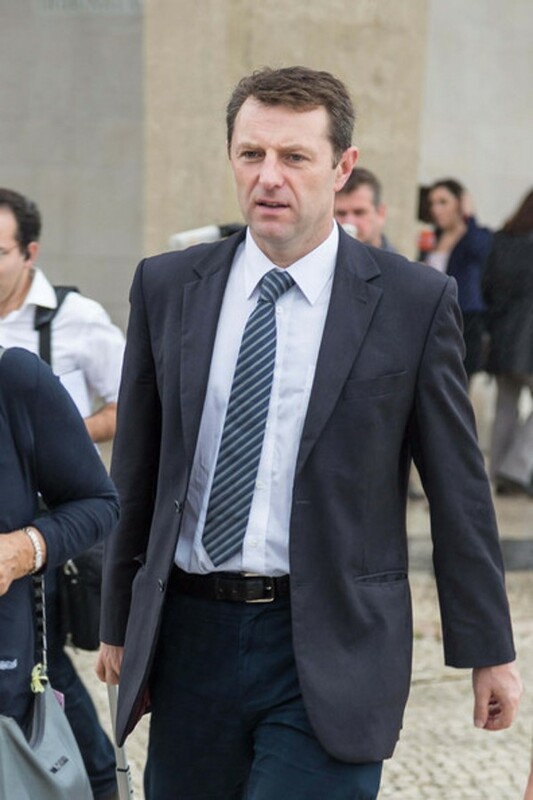 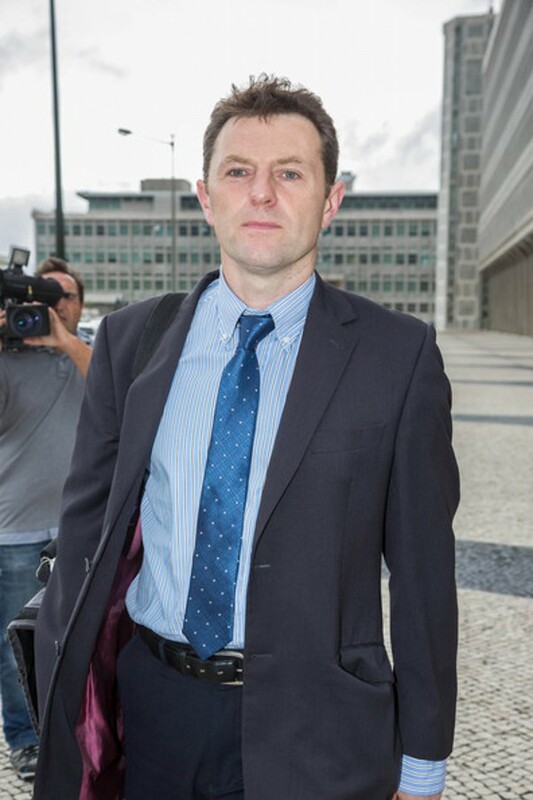 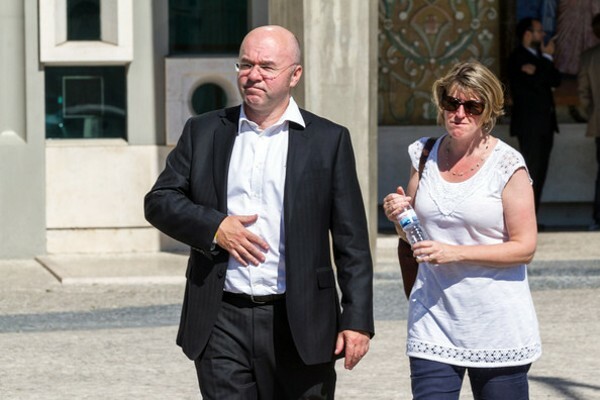 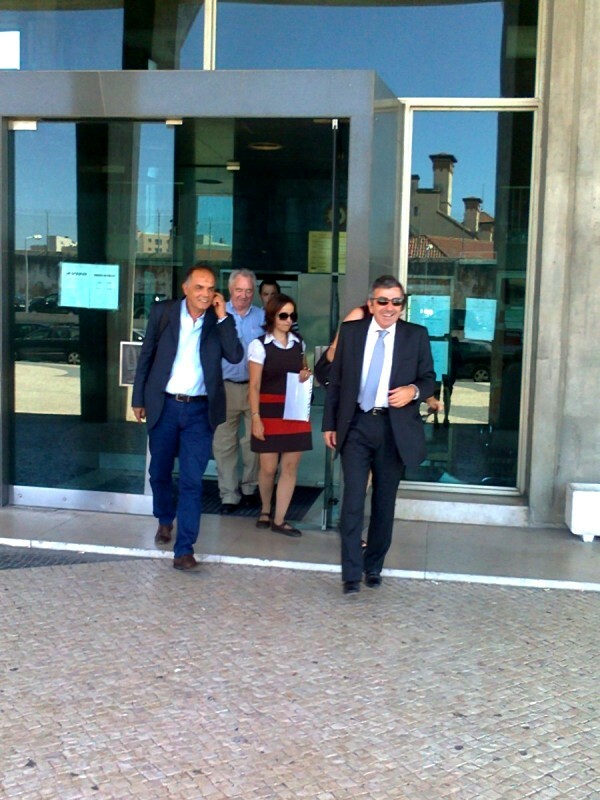 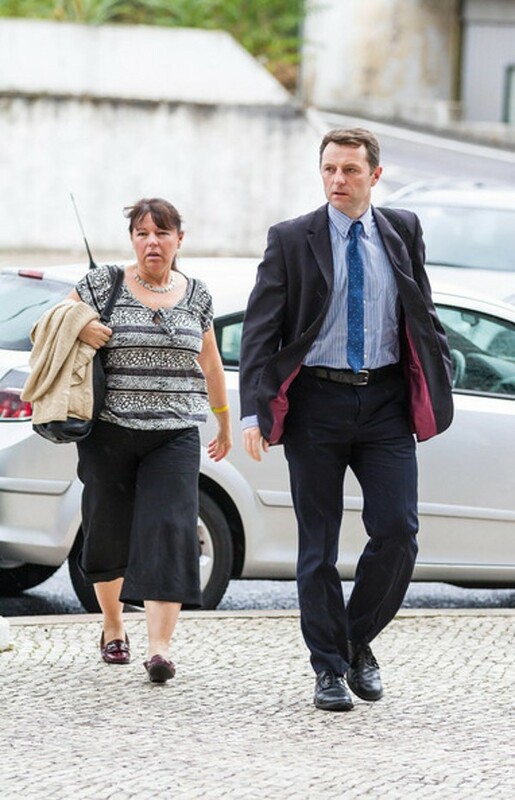 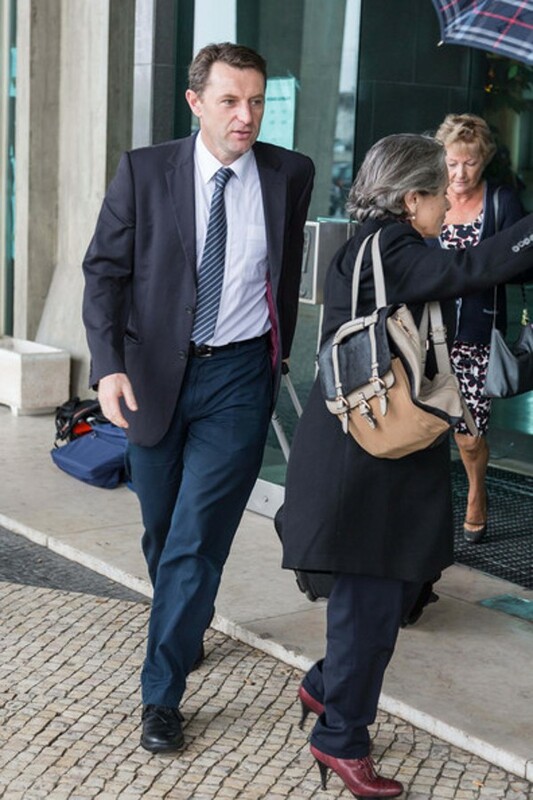 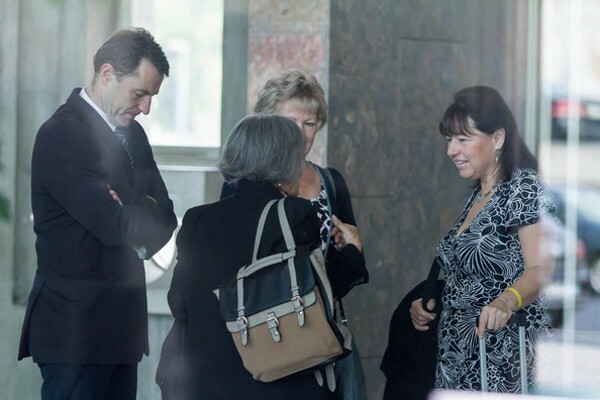 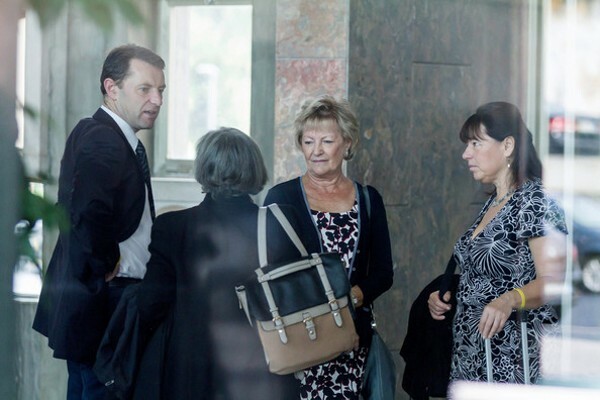 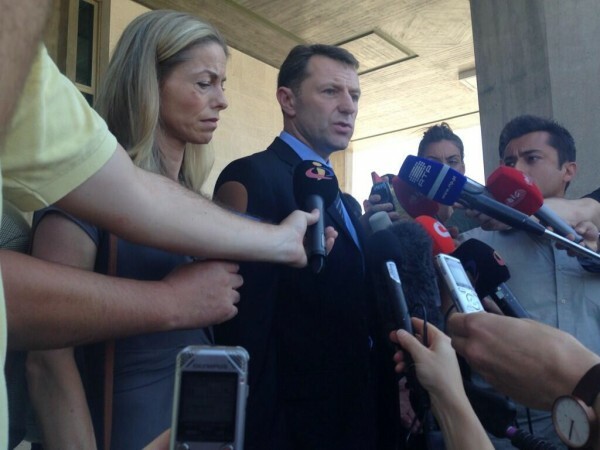 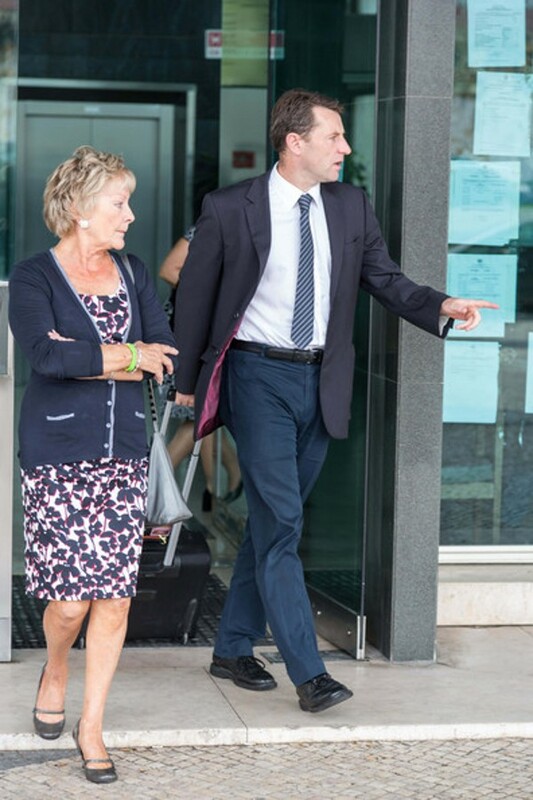 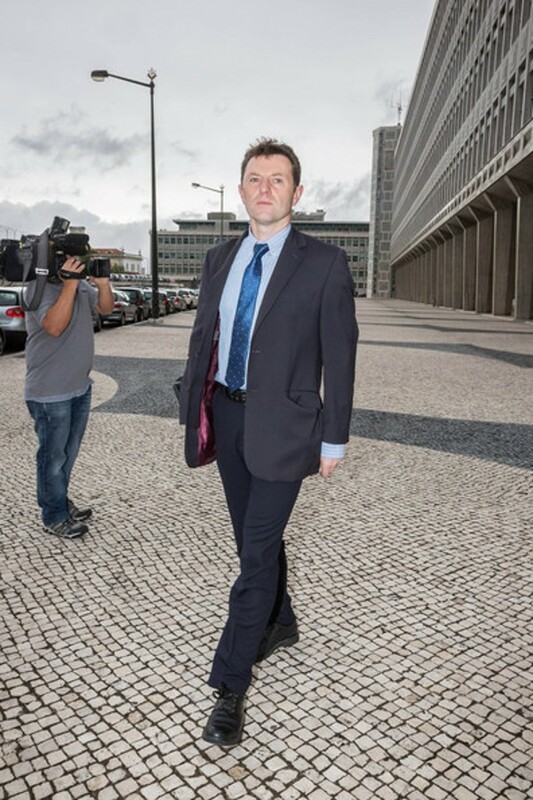 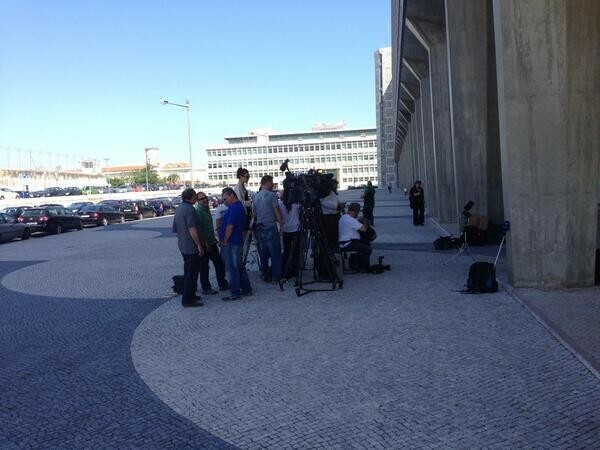 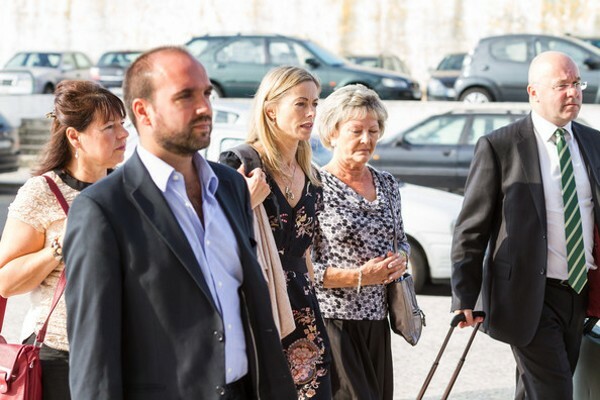 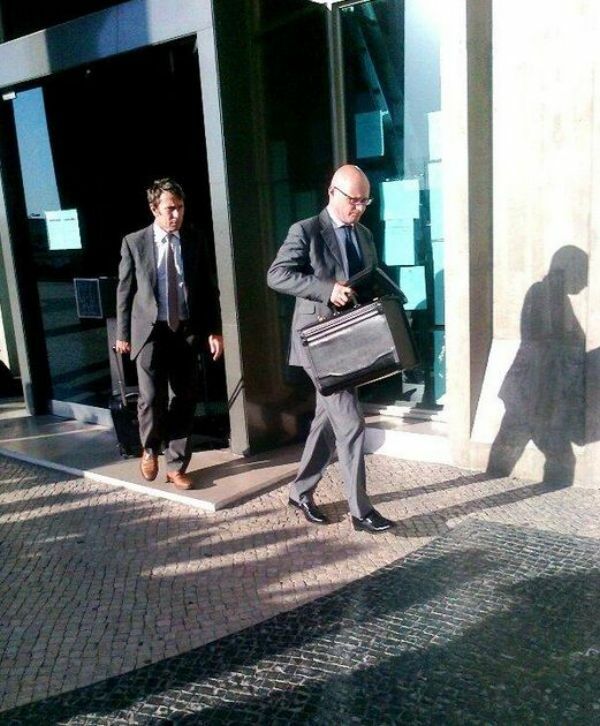 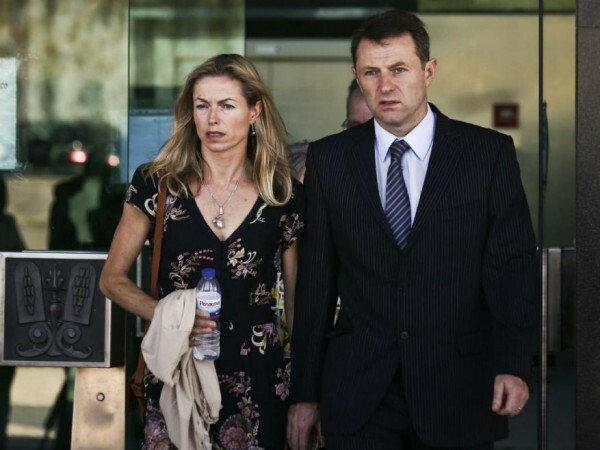 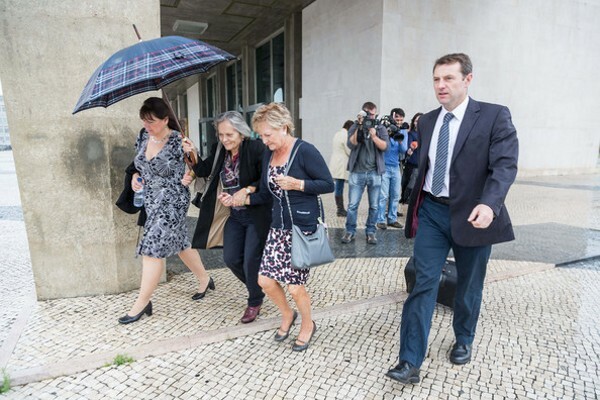 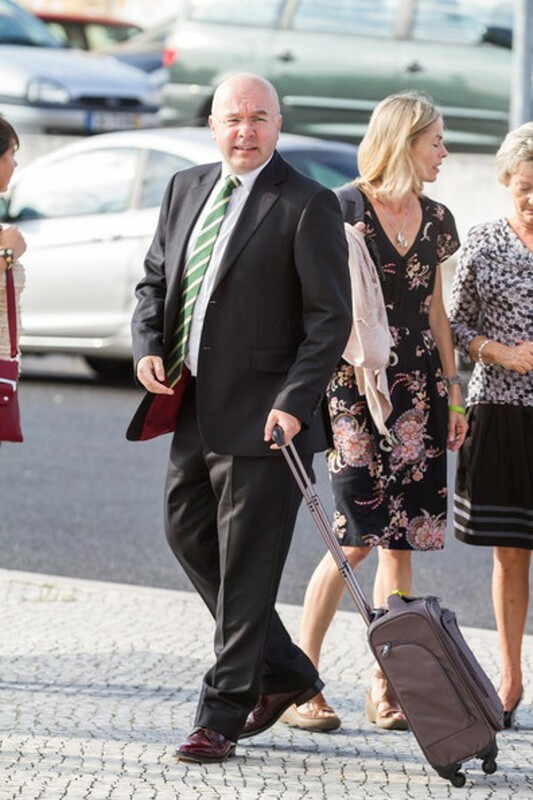 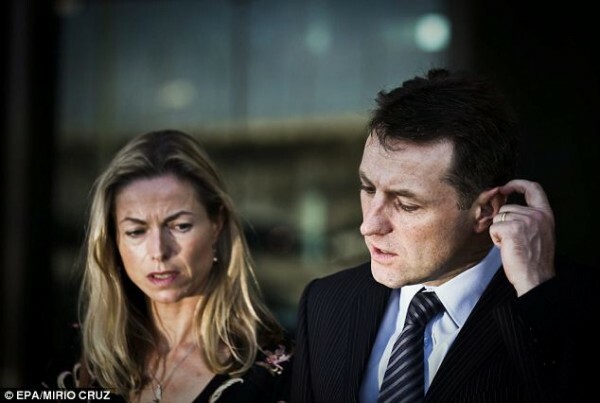 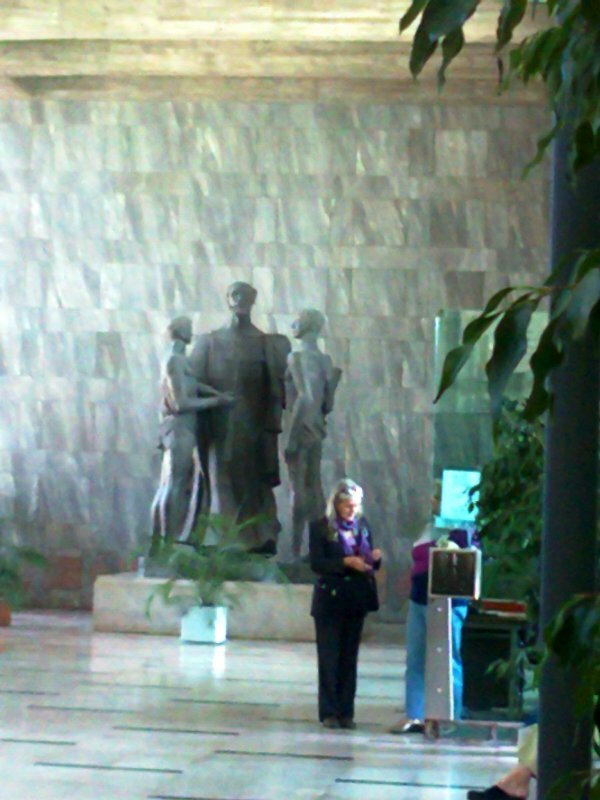 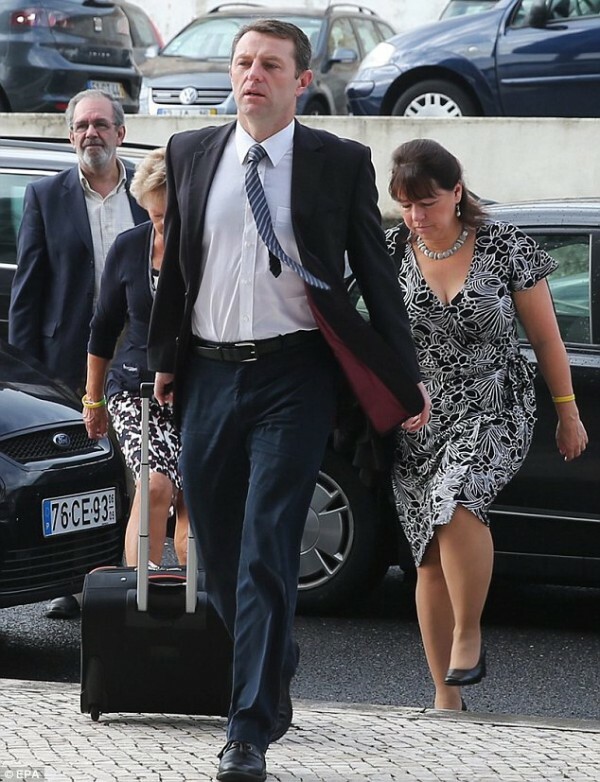 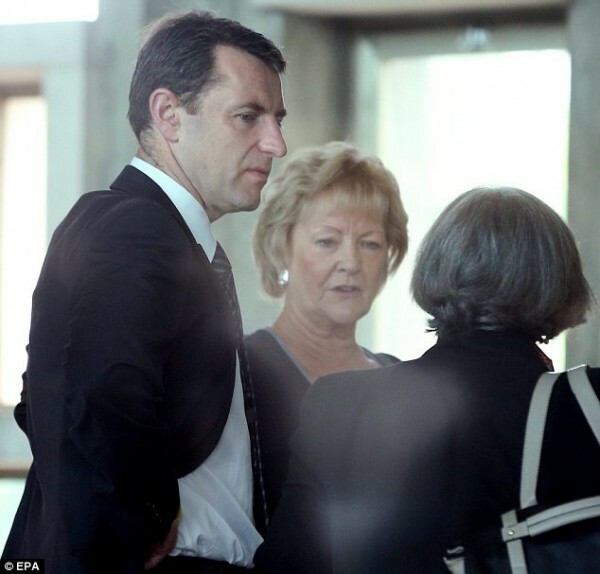 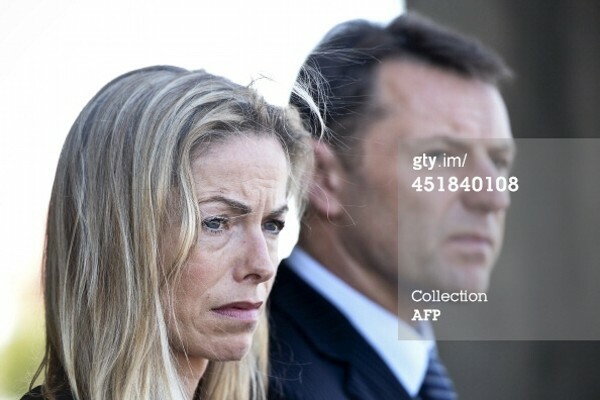 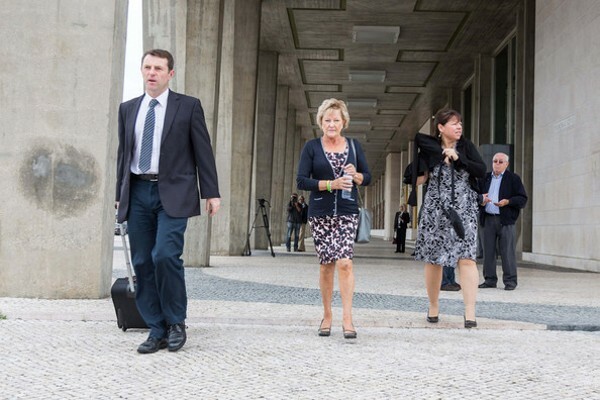 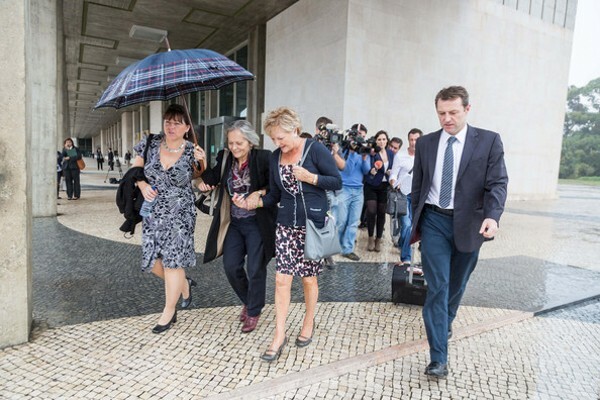 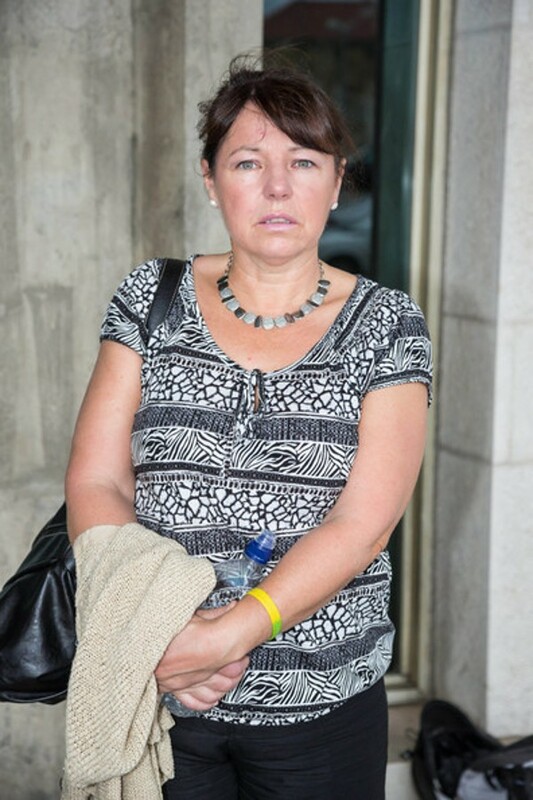 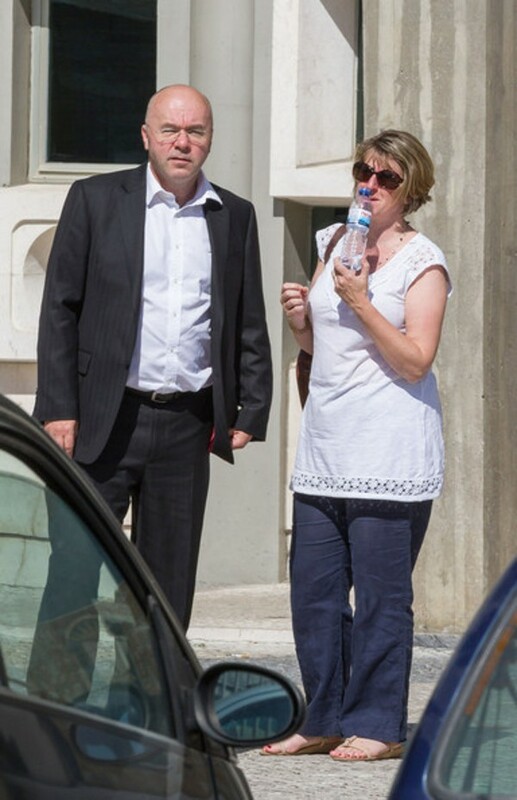 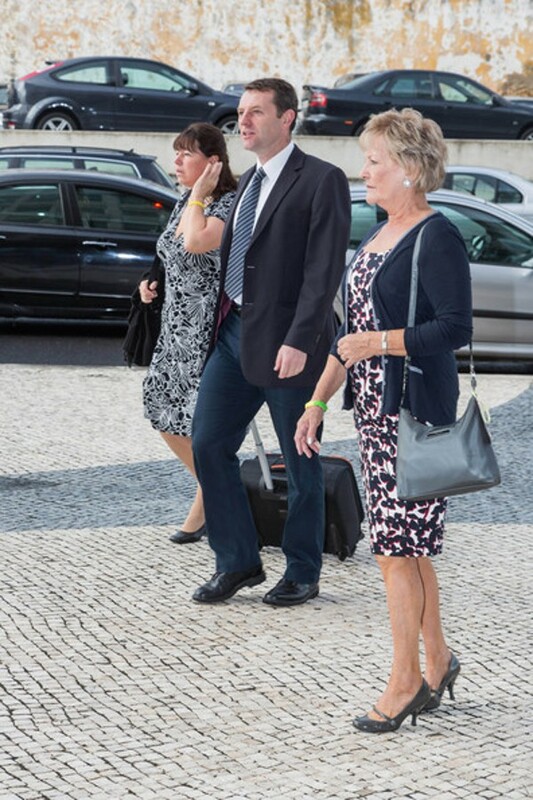 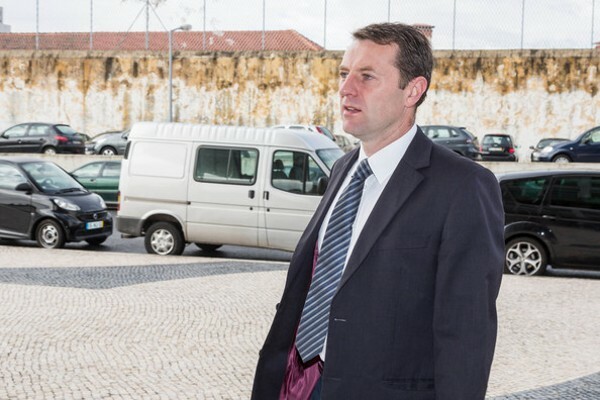 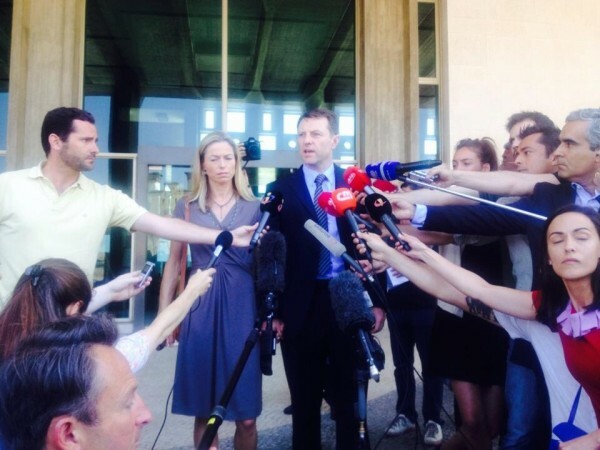 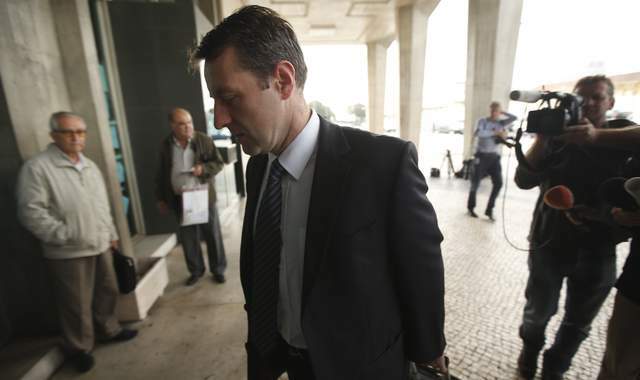 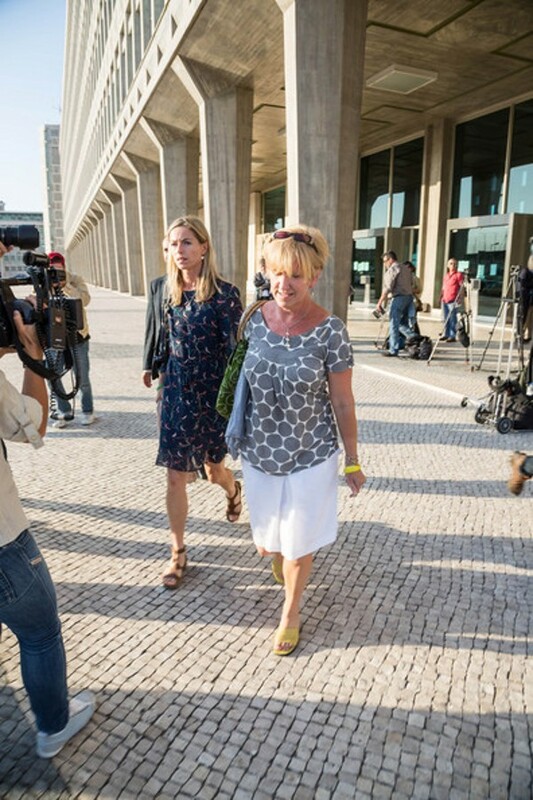 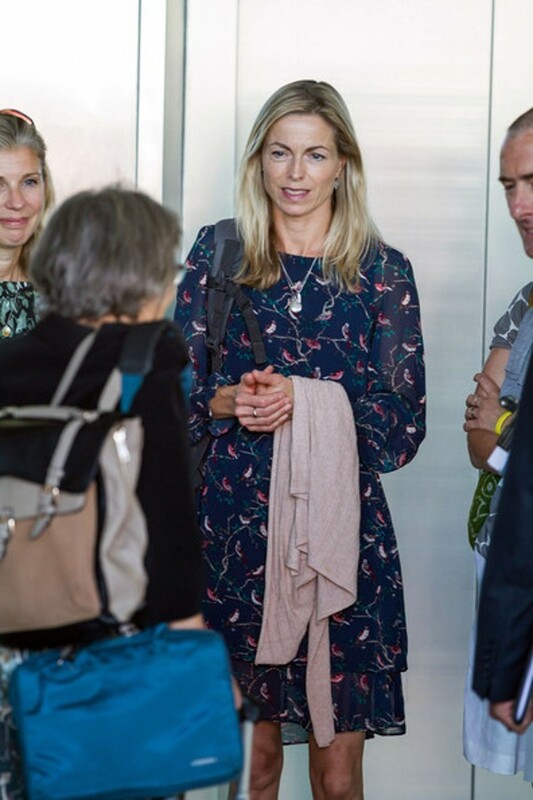 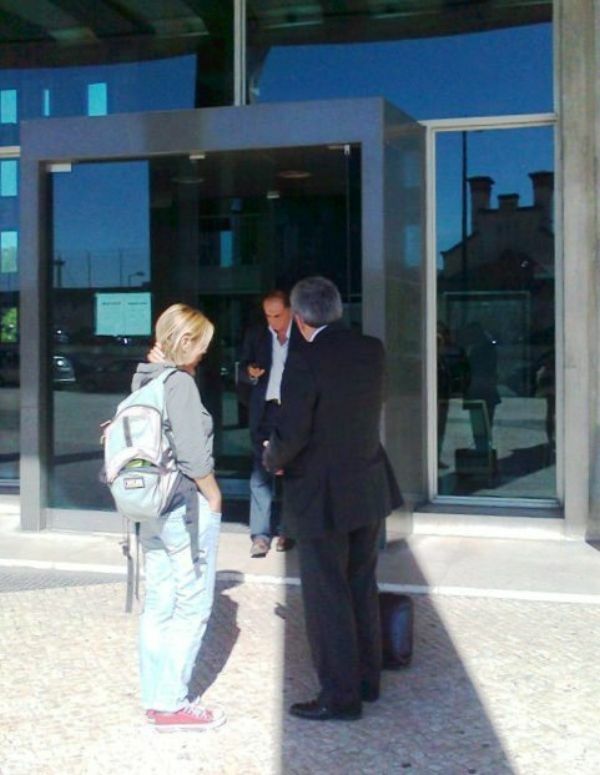 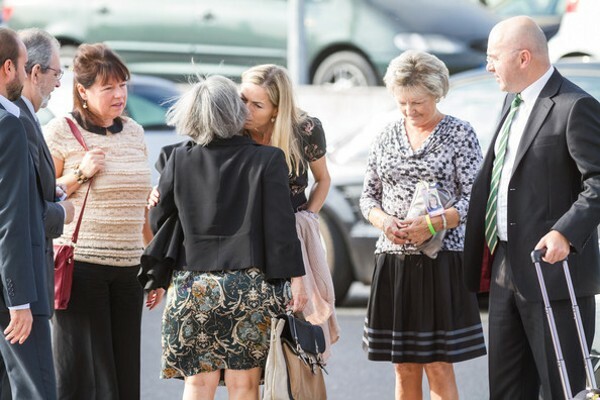 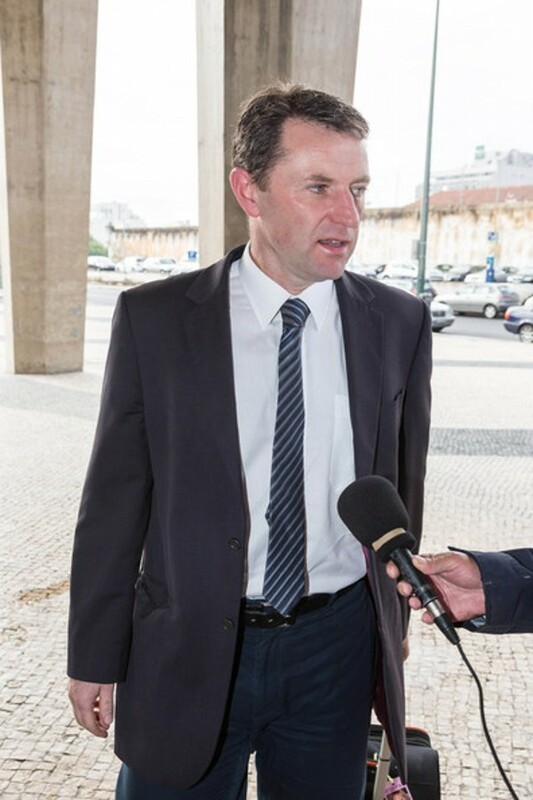 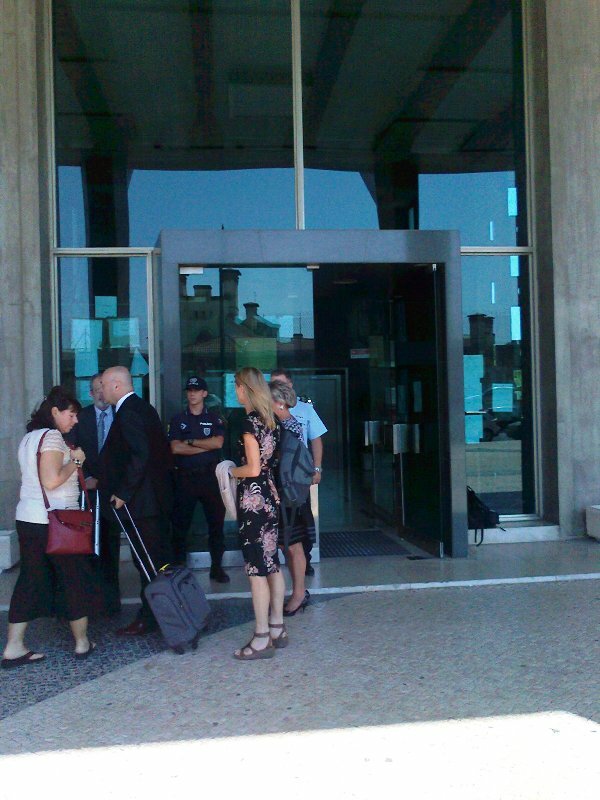 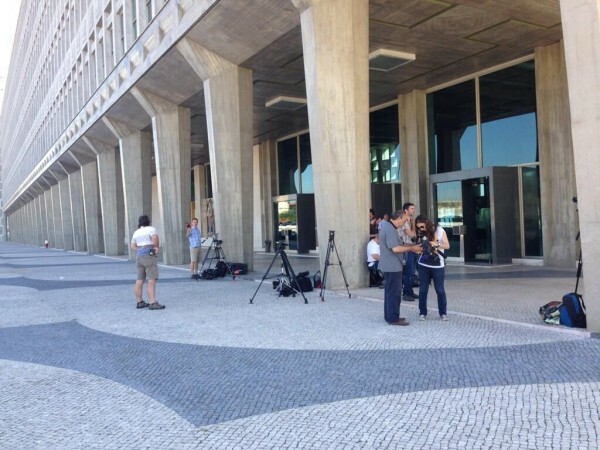 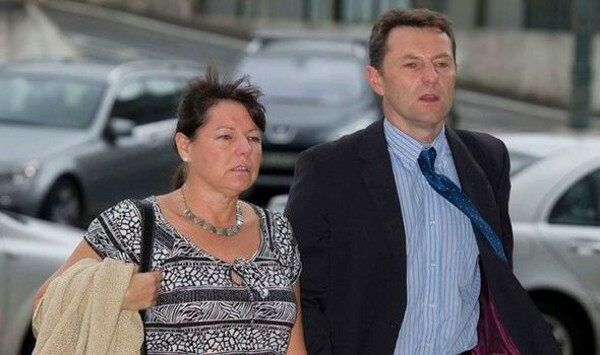 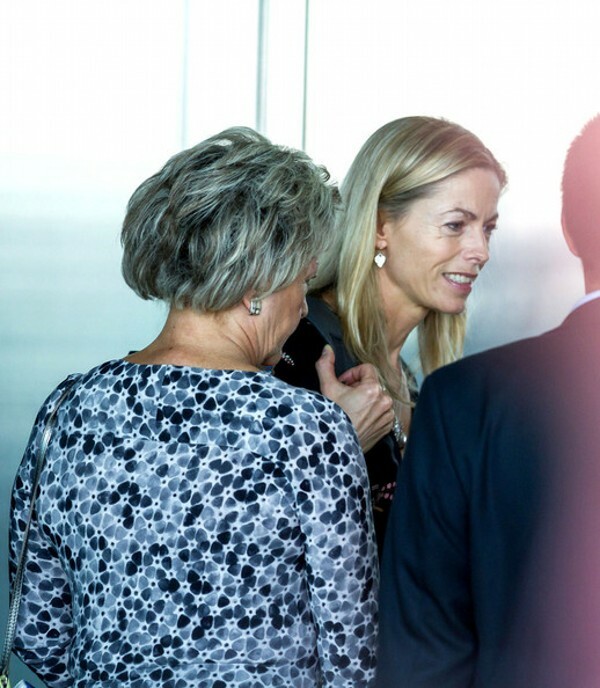 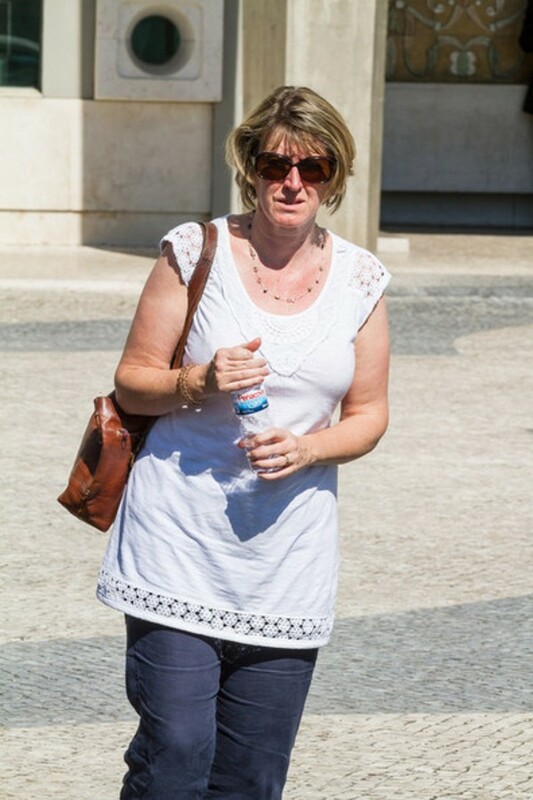 Photo by Anne Guedes Gerry McCann and sister pictured inside the Palace of Justice in Lisbon earlier today. 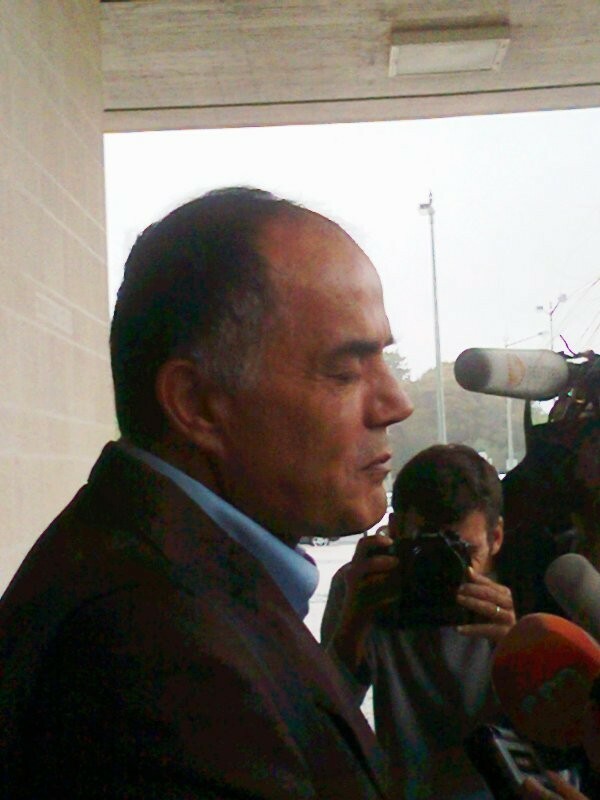 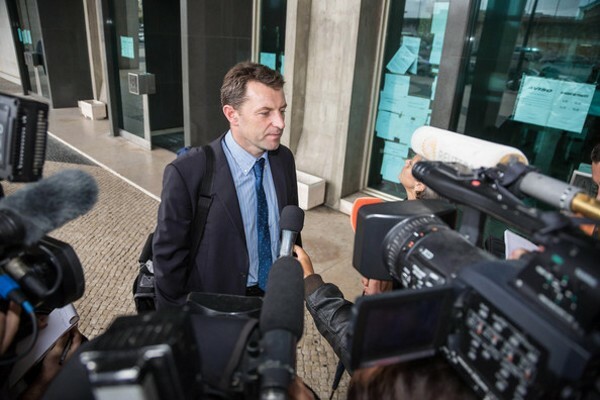 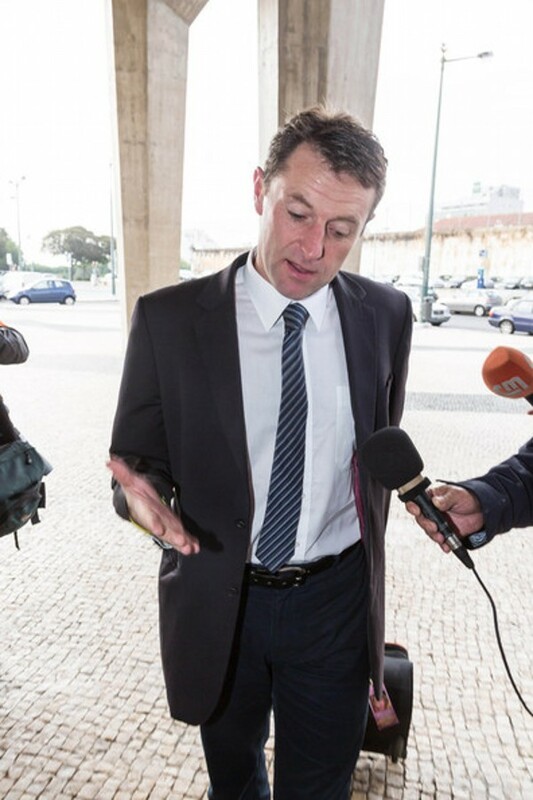 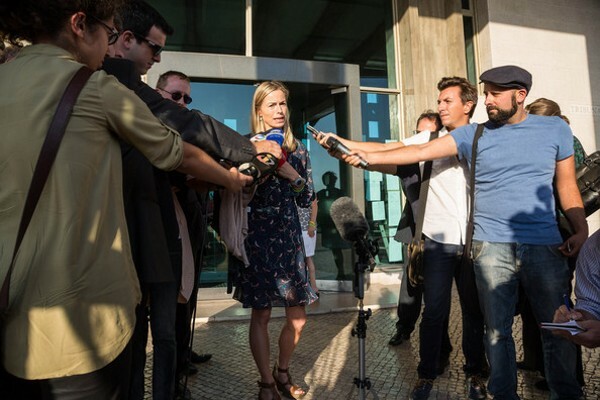 Photo by Anne Guedes A very tired Gonçalo Amaral speaks to the gathered Press outside the Palace of Justice in Lisbon earlier today. 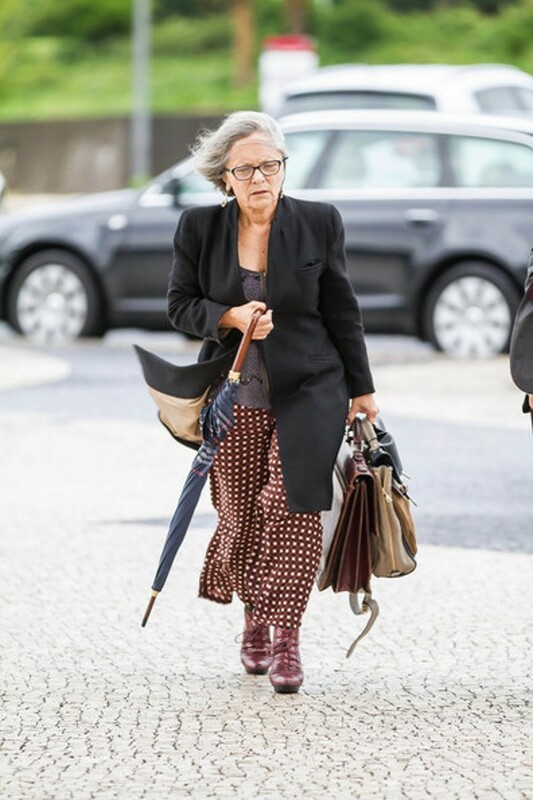 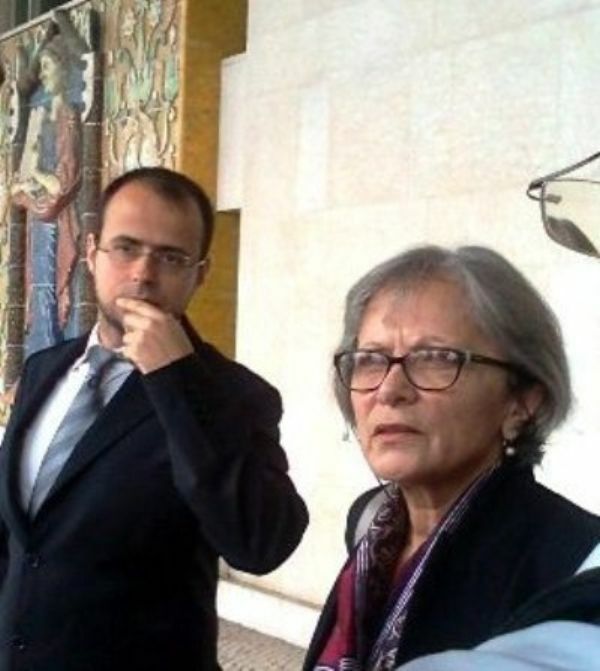 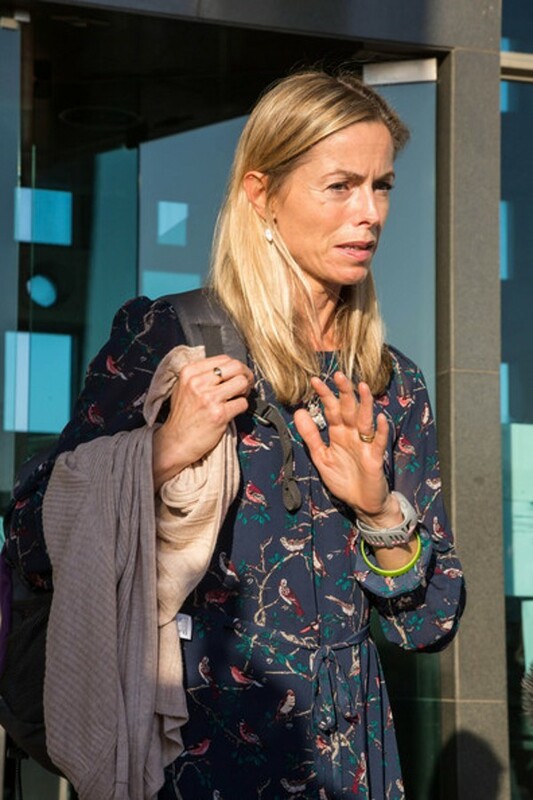 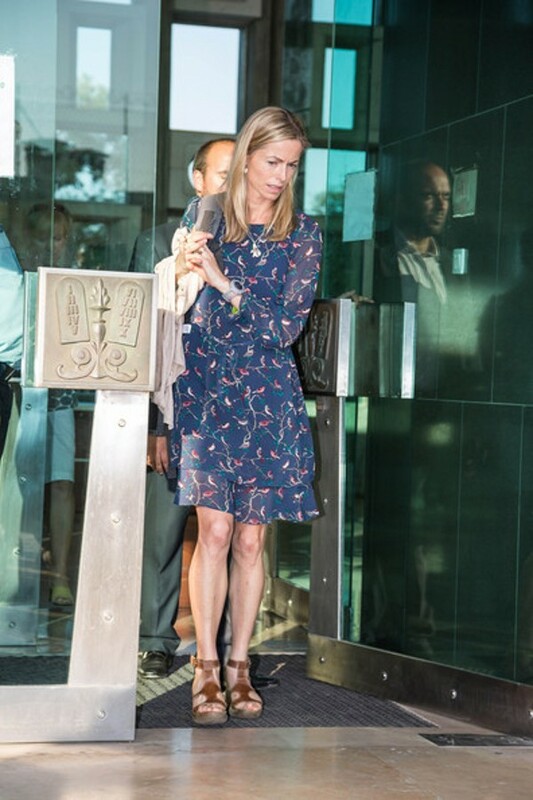 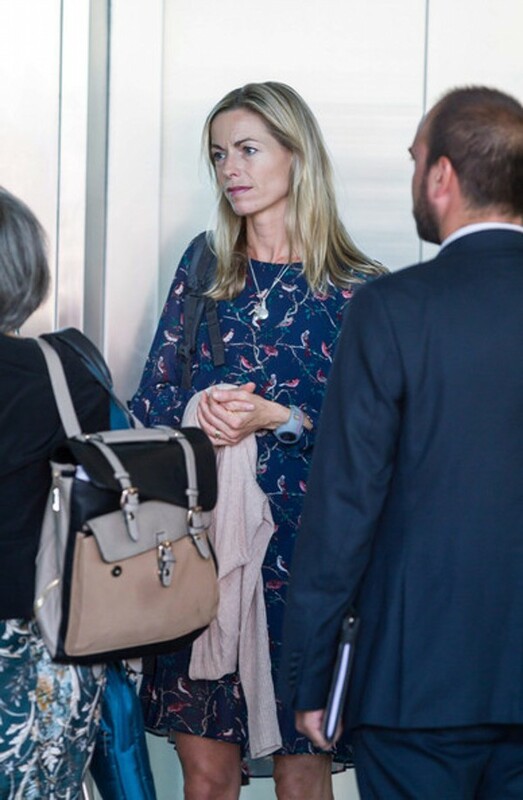 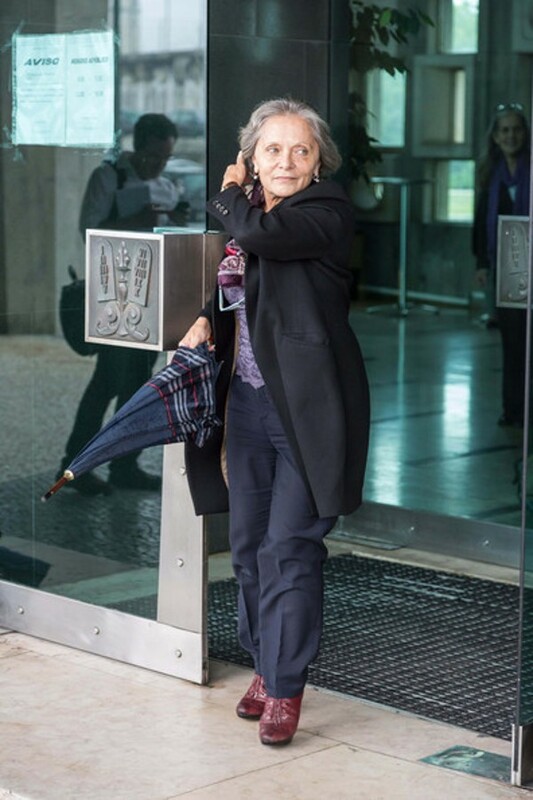 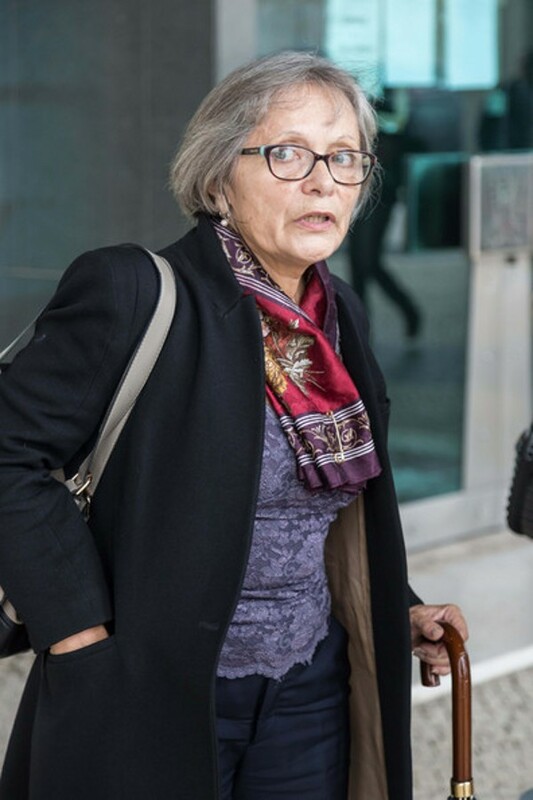 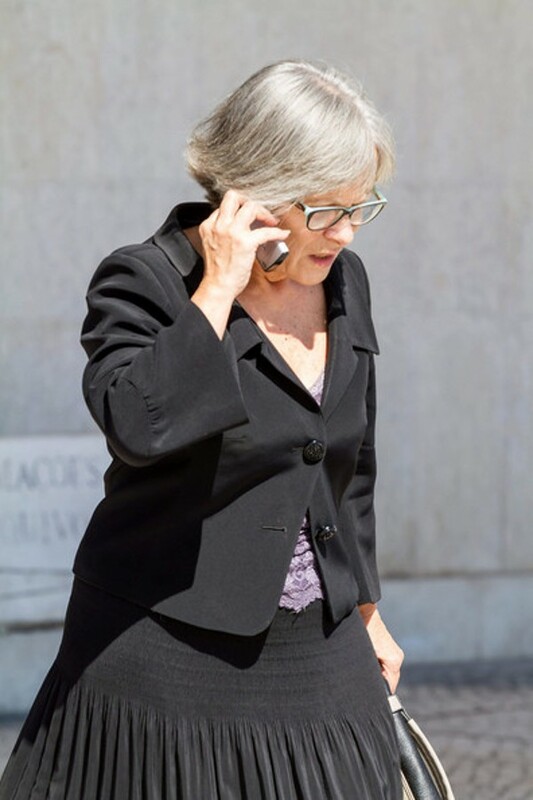 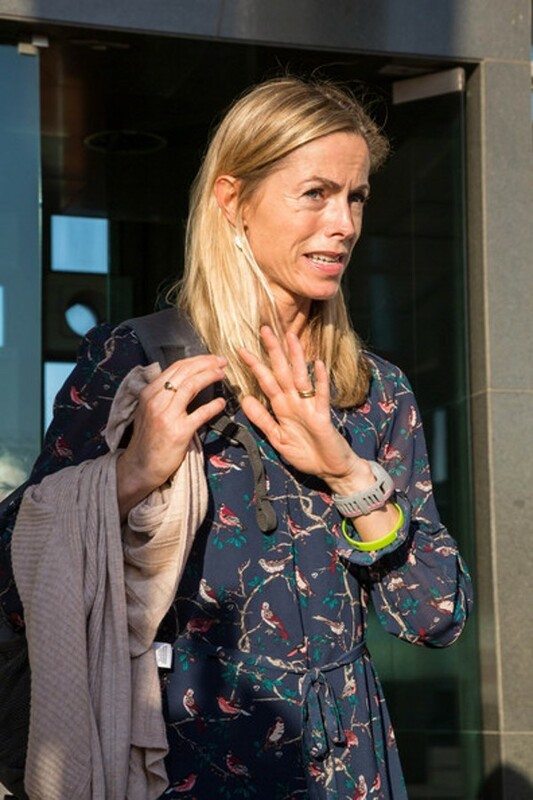 Photo by Anne Guedes McCann family lawyer, Isabel Duarte, pictured outside the Palace of Justice earlier today moments before launching a vicious tirade against our own correspondent. 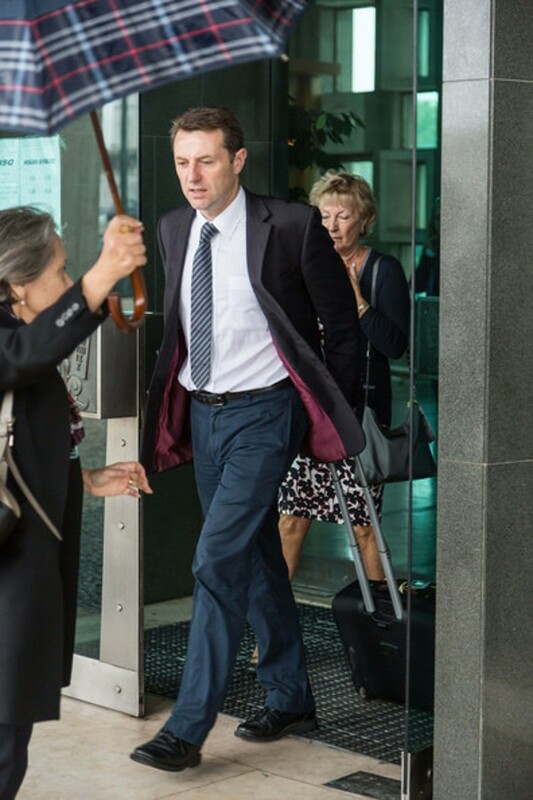 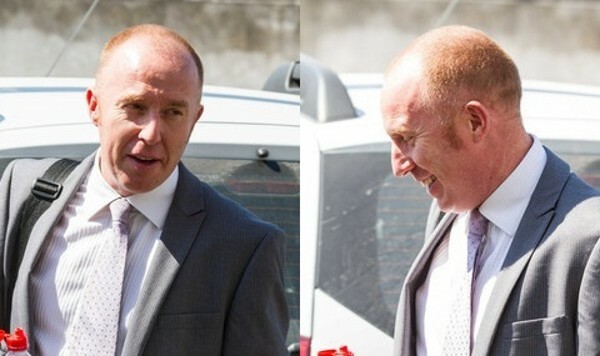 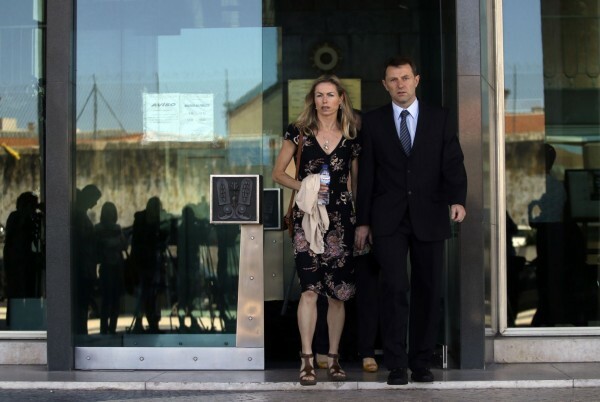 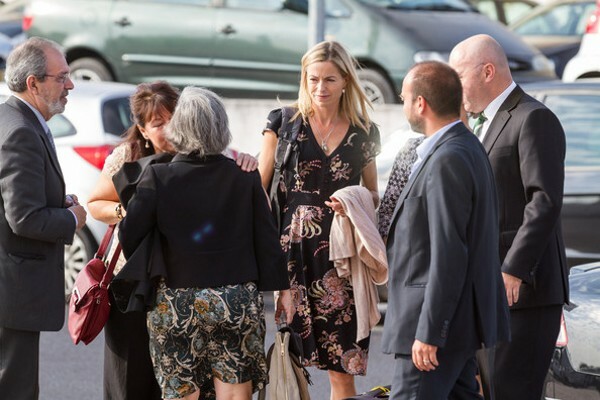 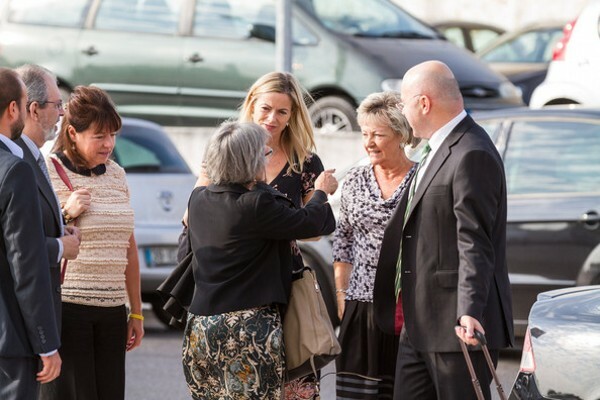 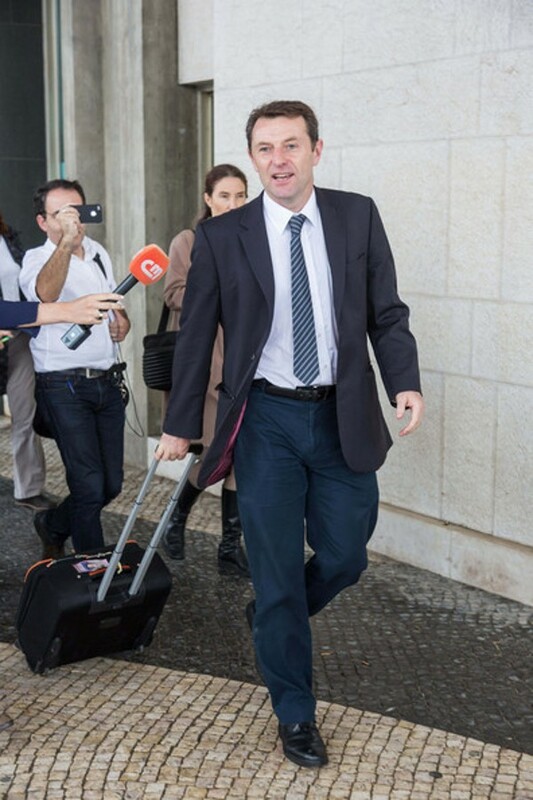 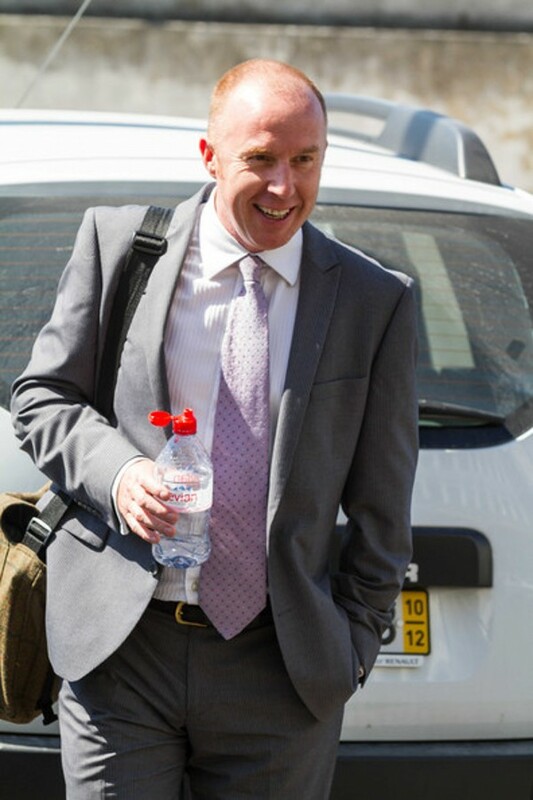 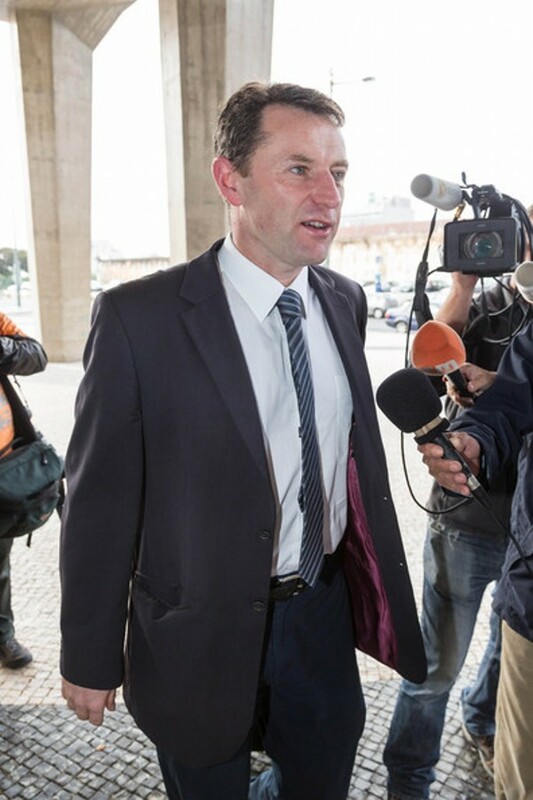 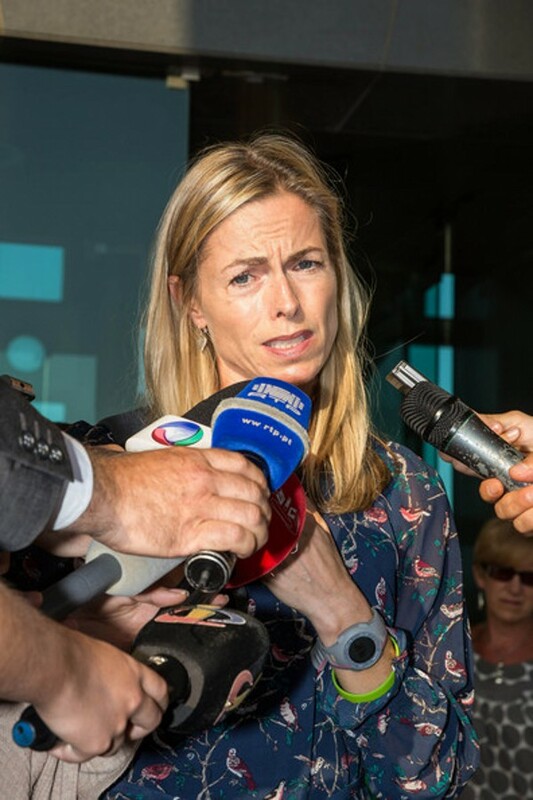 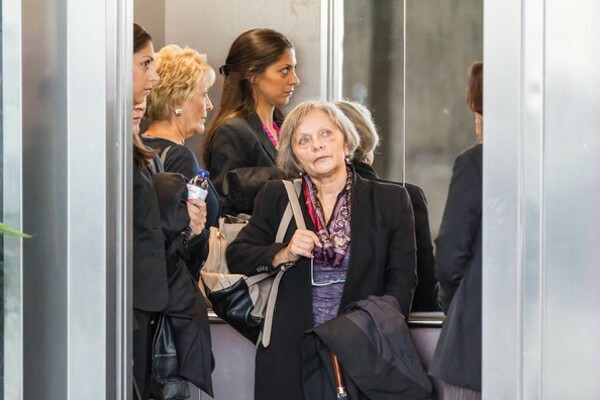 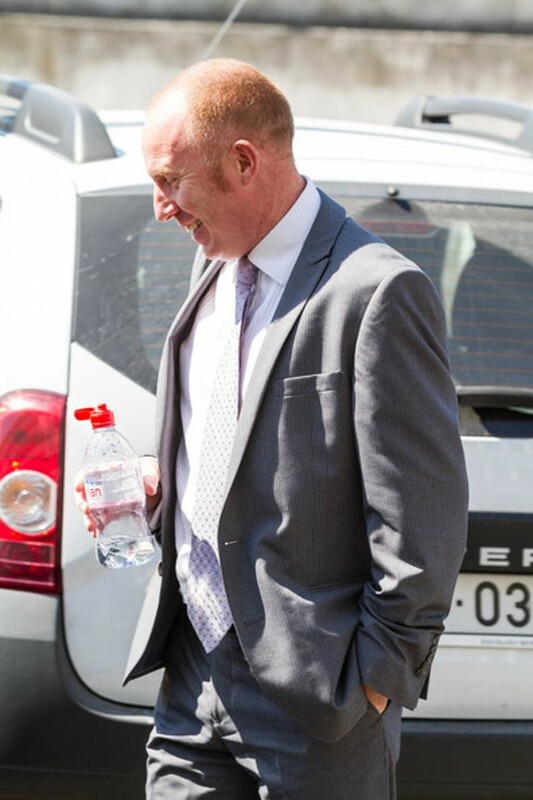 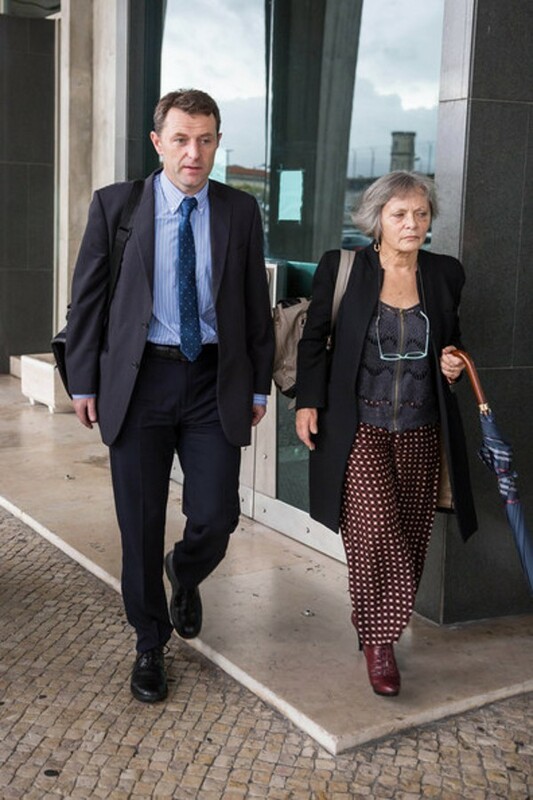 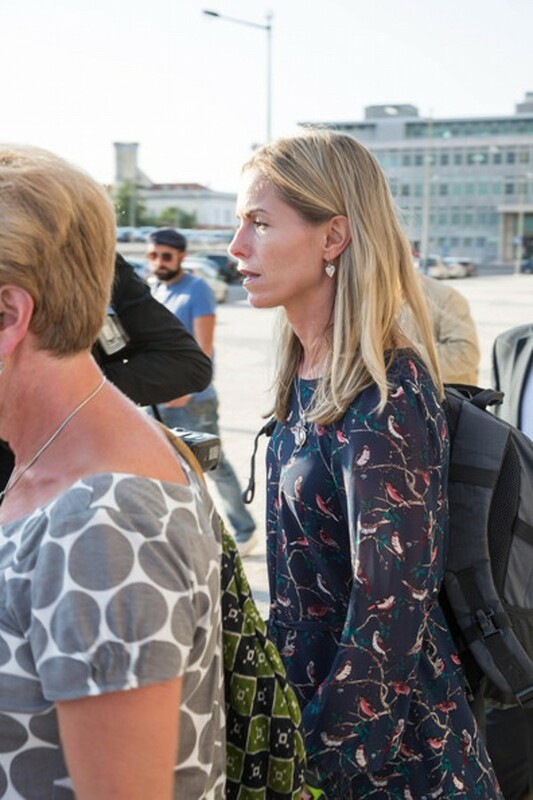 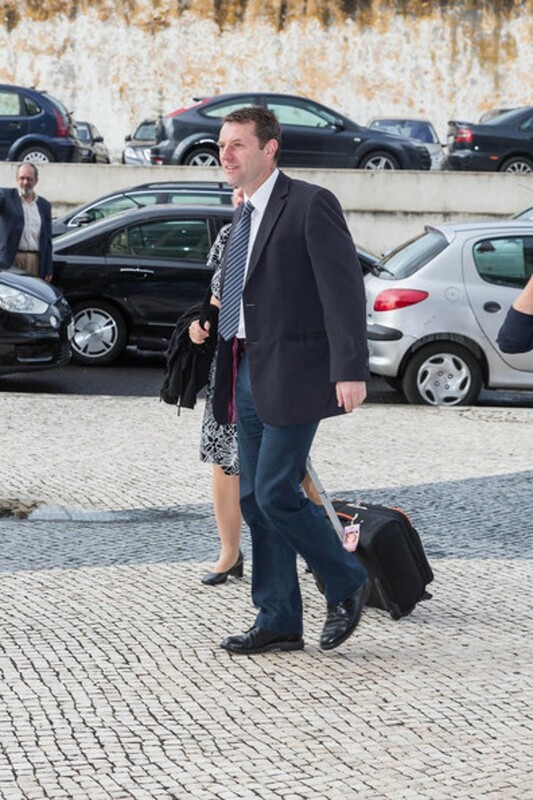 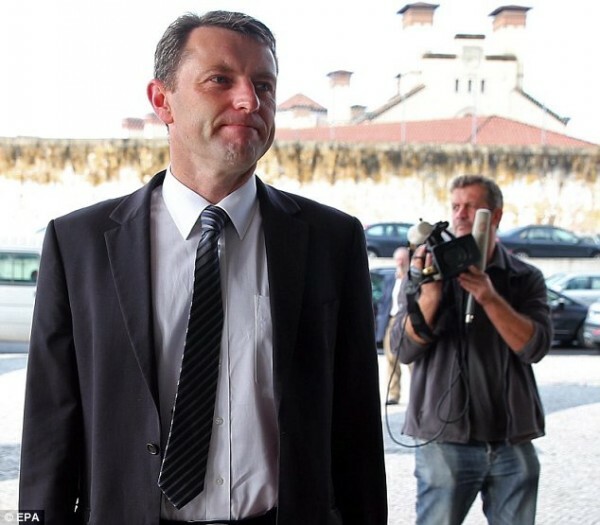 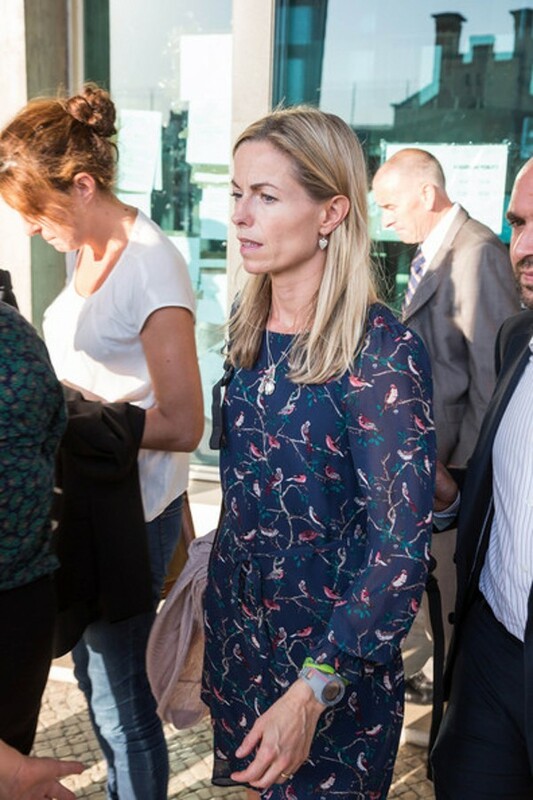 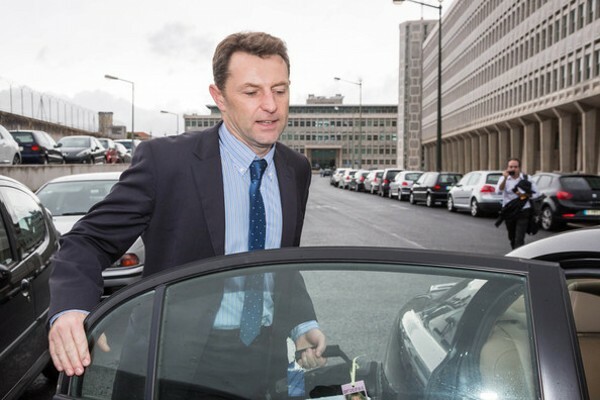 McCann family lawyer Isabel Duarte (left) and Gerry McCann exit the Palace of Justice in Lisbon earlier today as yet another hearing is adjourned. 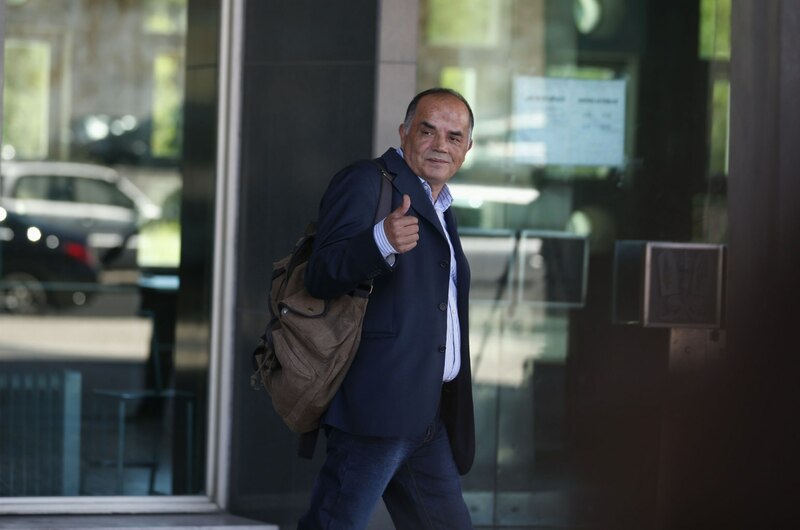 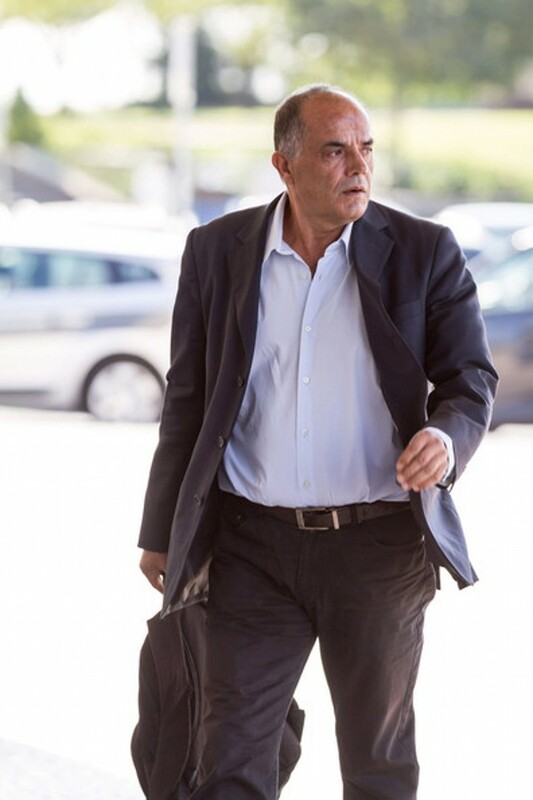 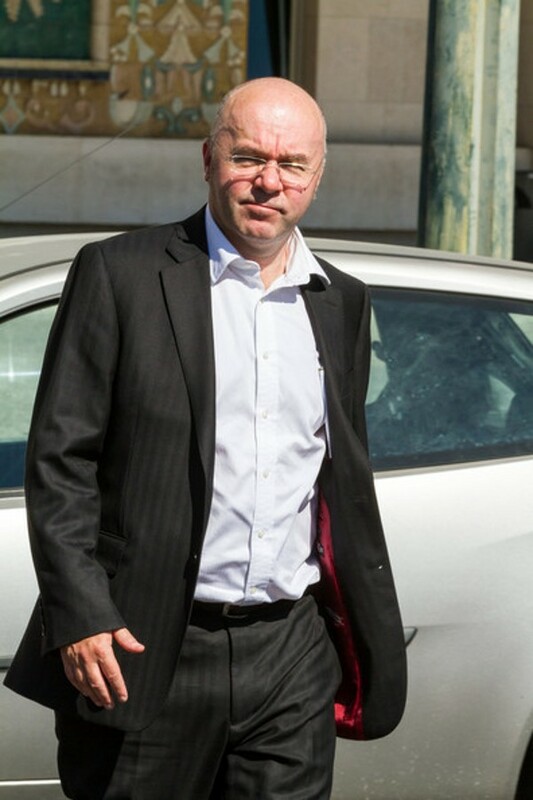 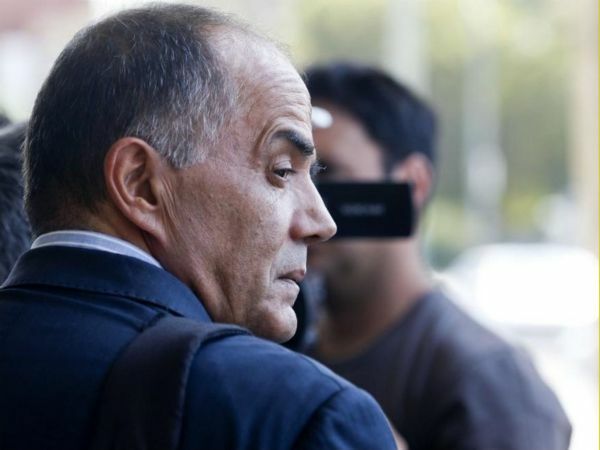 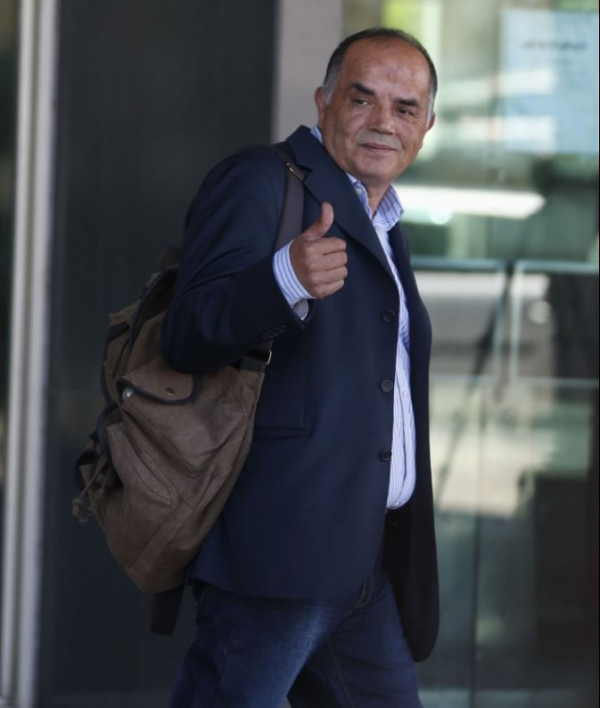 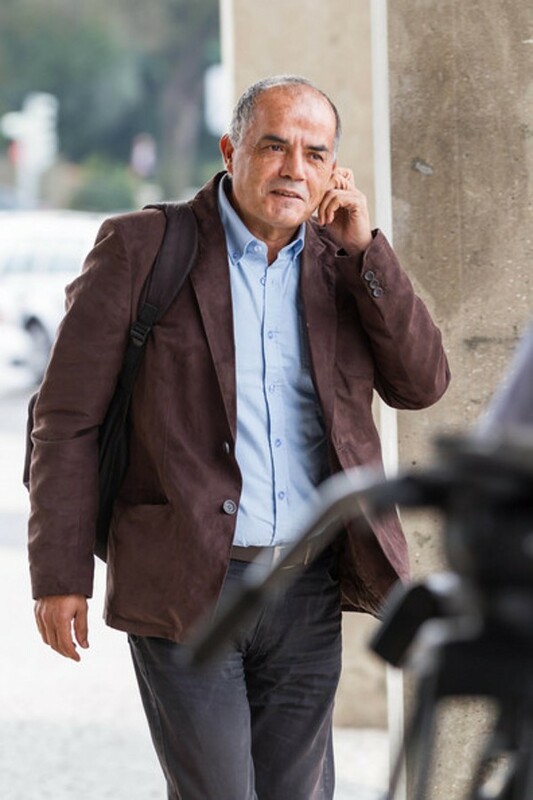 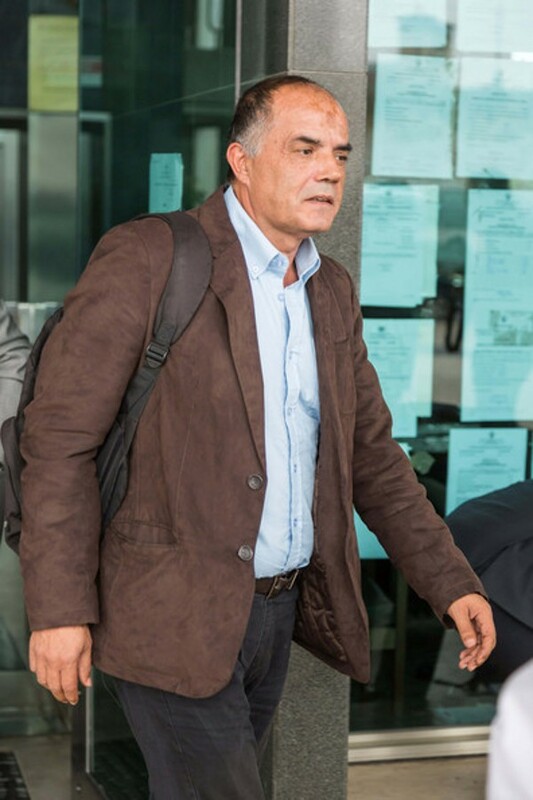 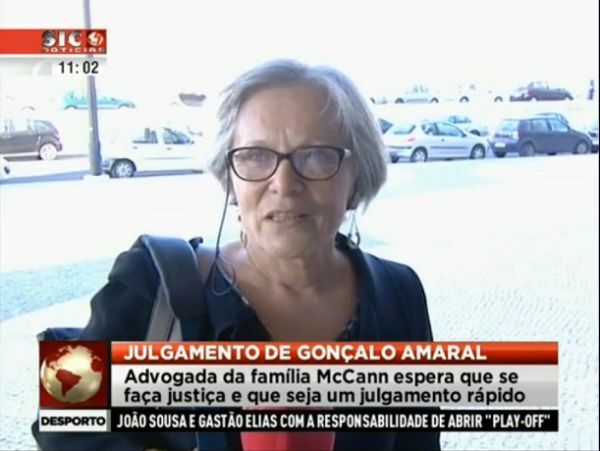 The reason this time appears to have been a medical emergency involving the young son of Amaral lawyer, Dr Santos Oliveira. 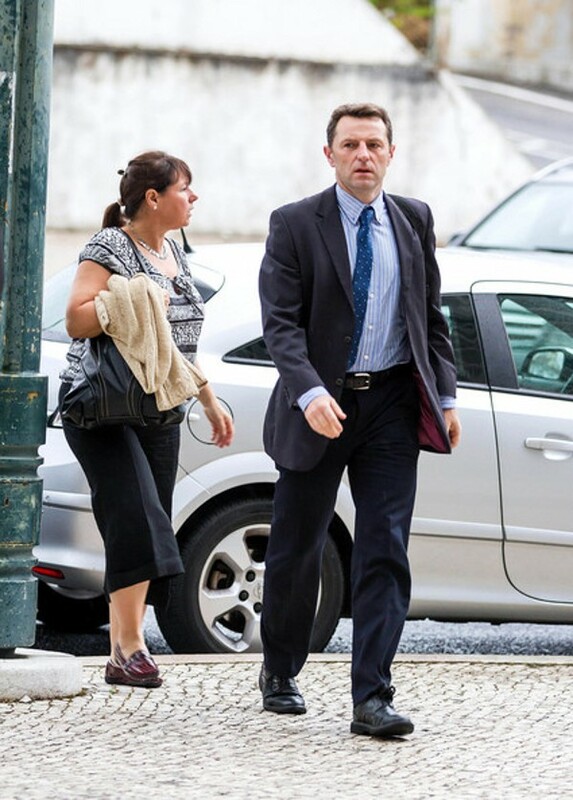 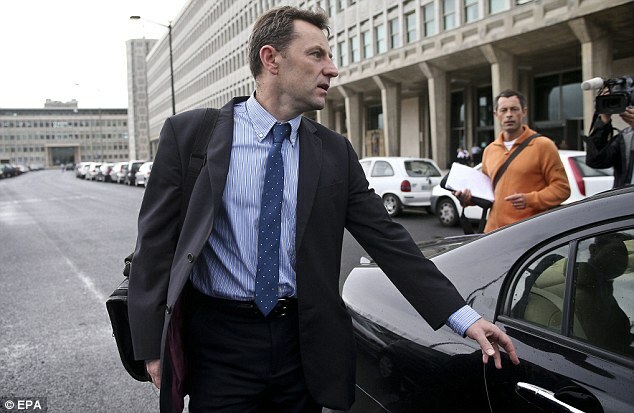 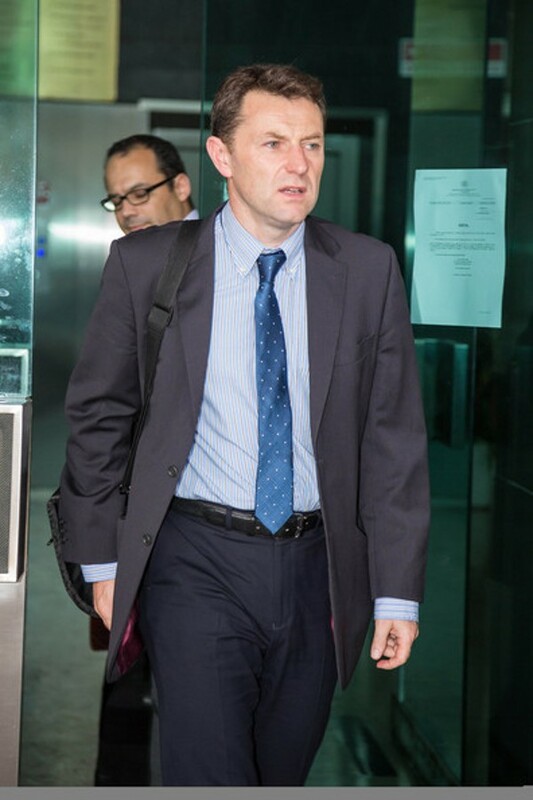 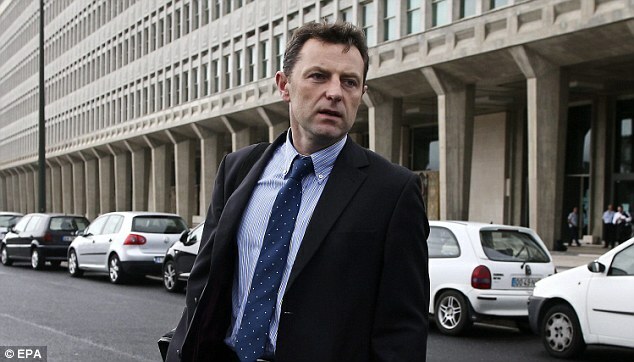 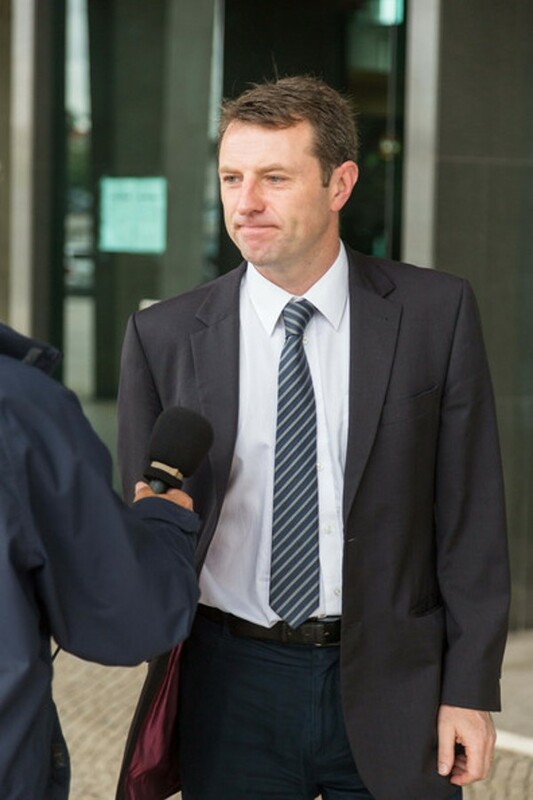 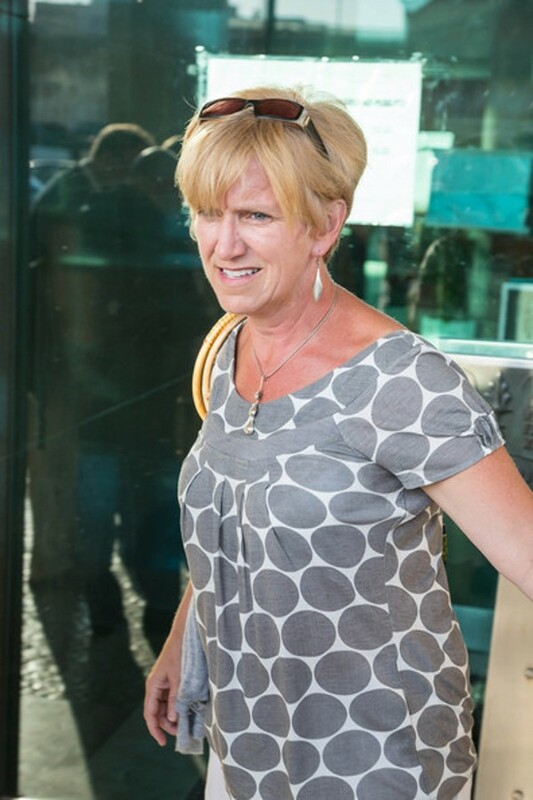 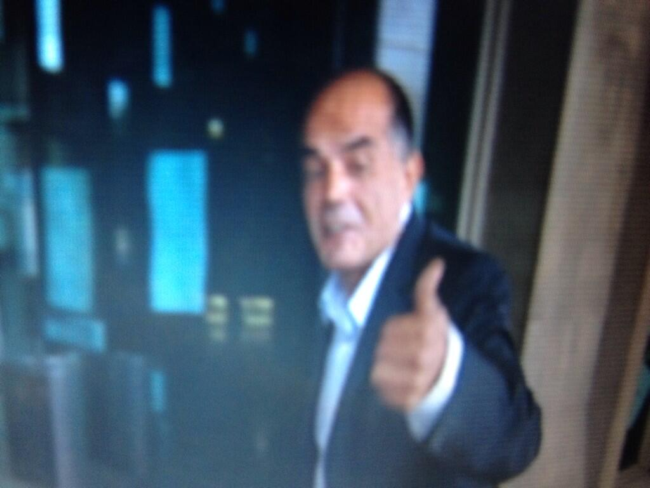 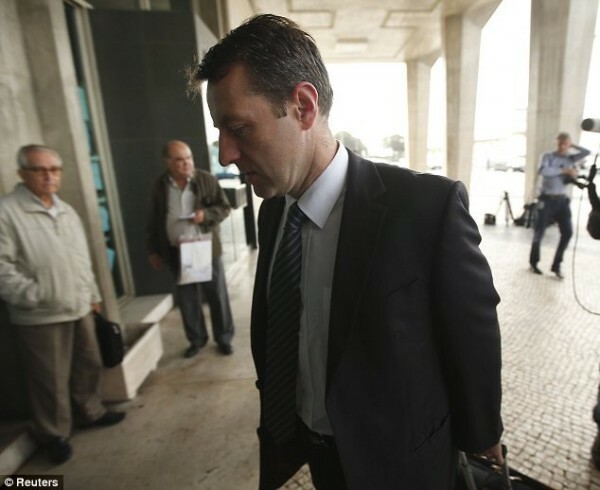 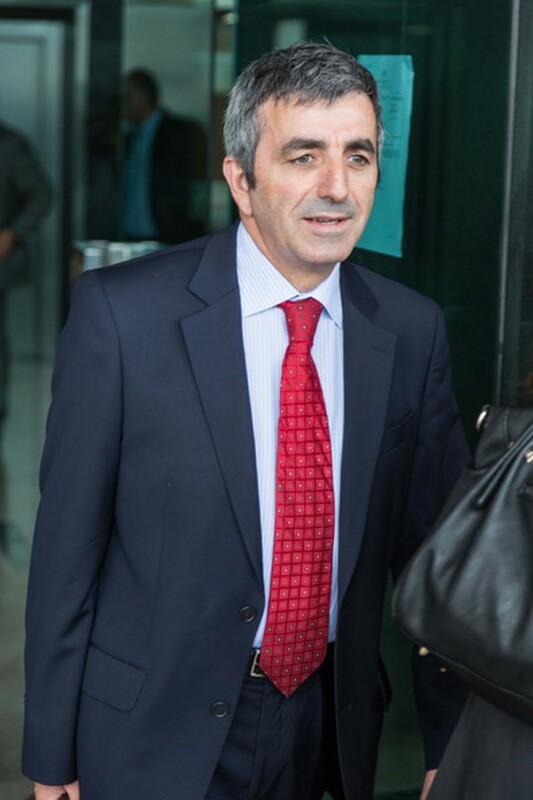 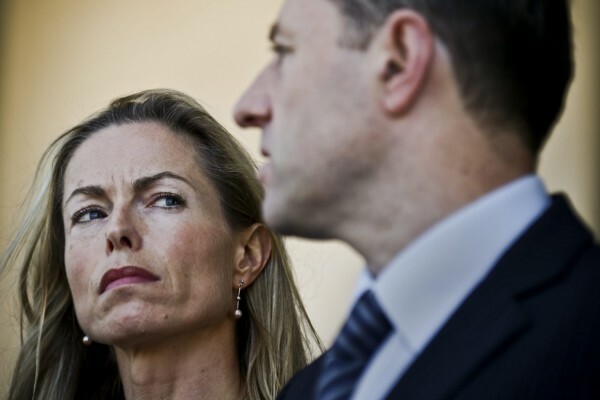 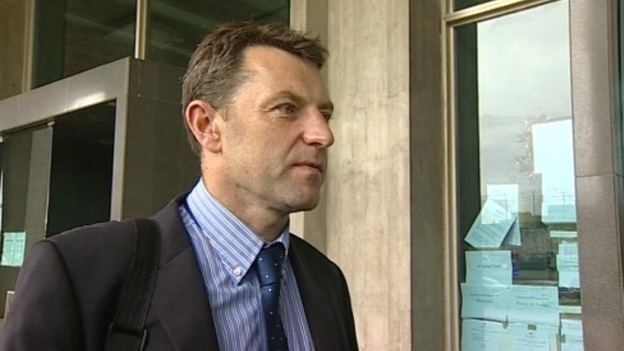 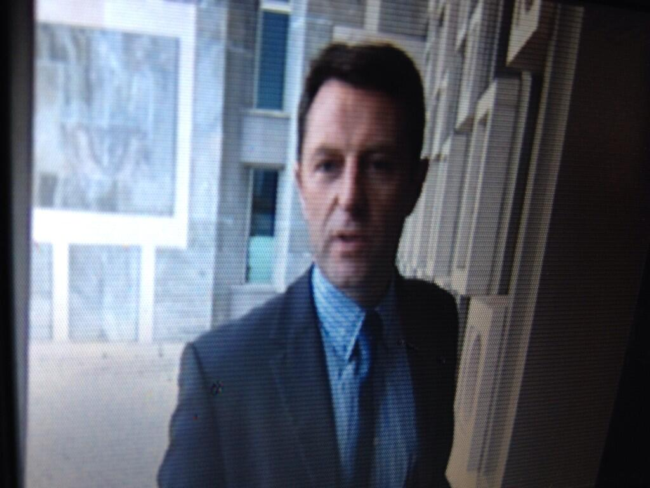 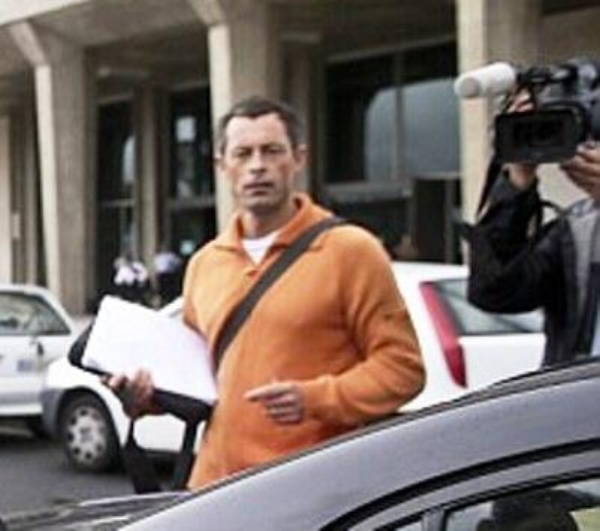 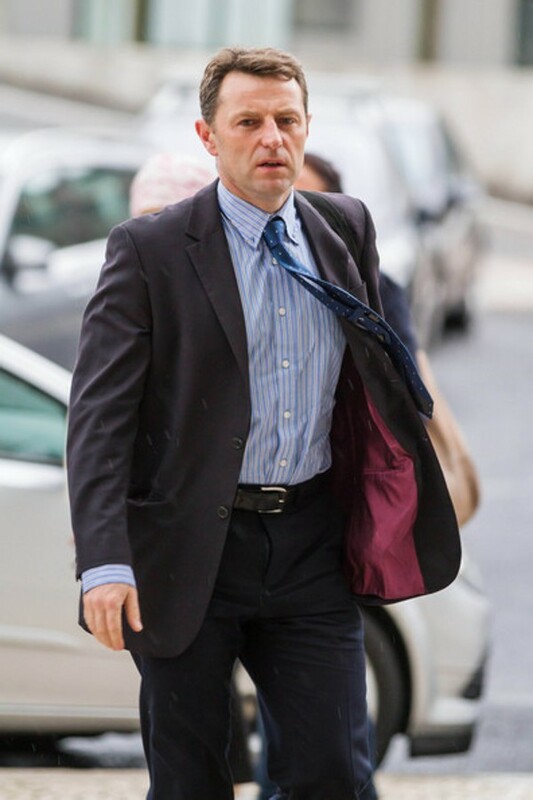 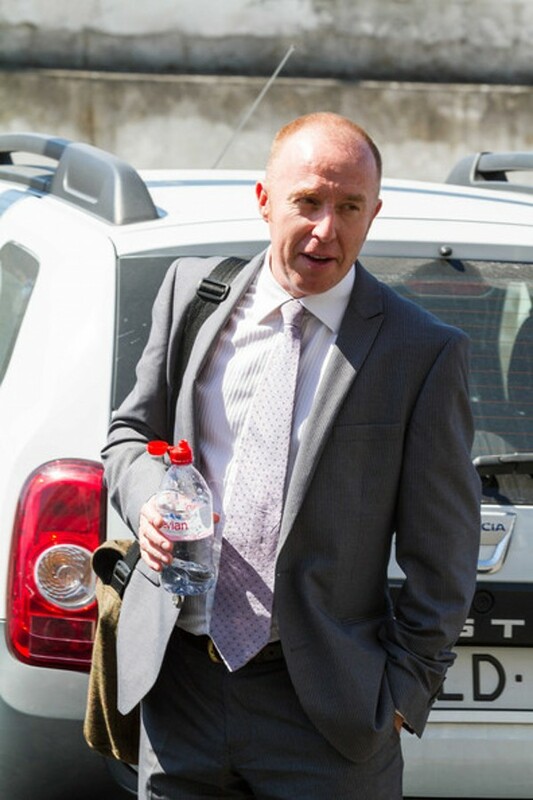 TVI-13-09-2013 Maddie Case: Psychologist and criminal lawyer testify in favour of the McCann couple. 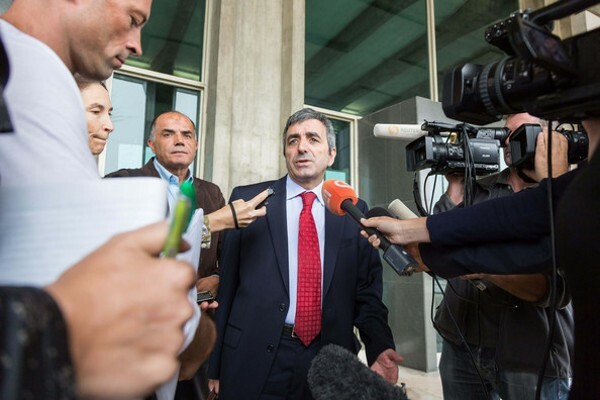 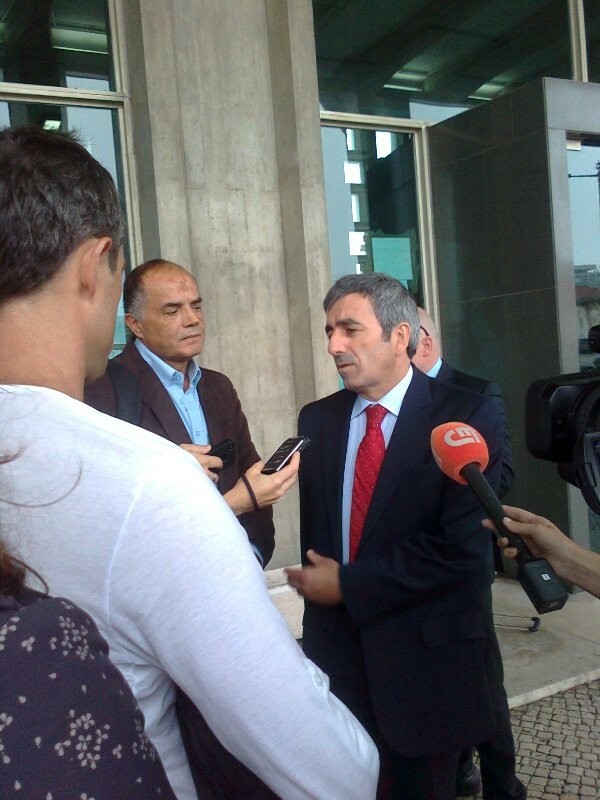 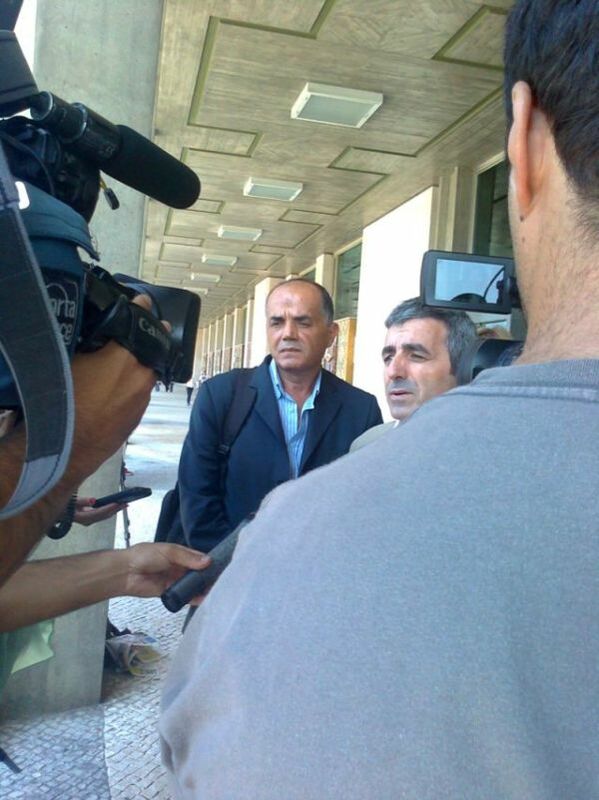 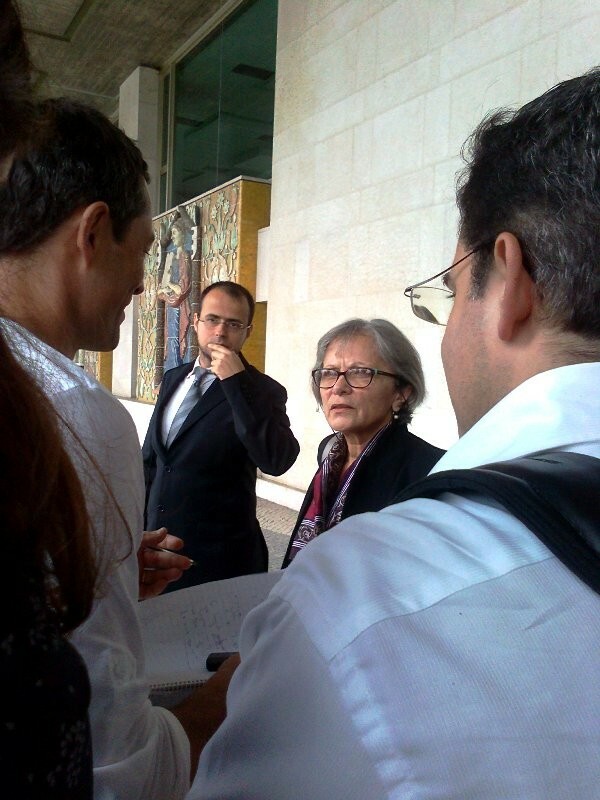 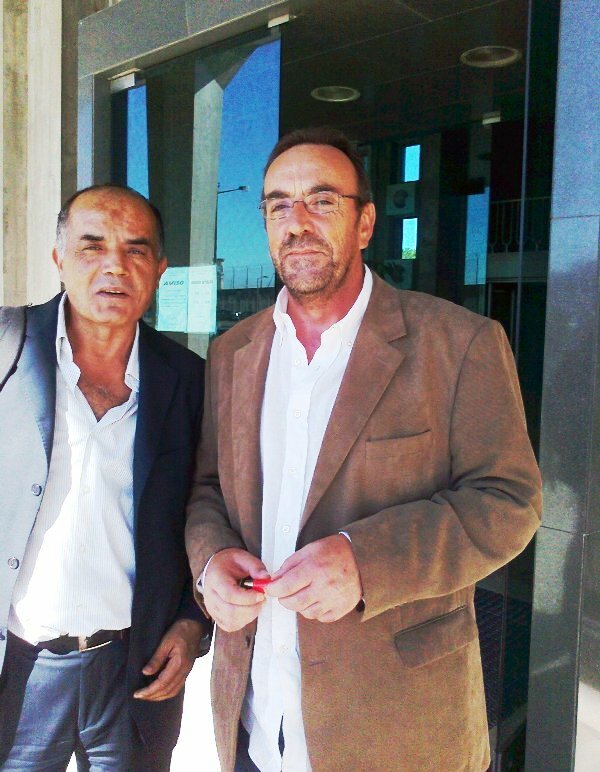 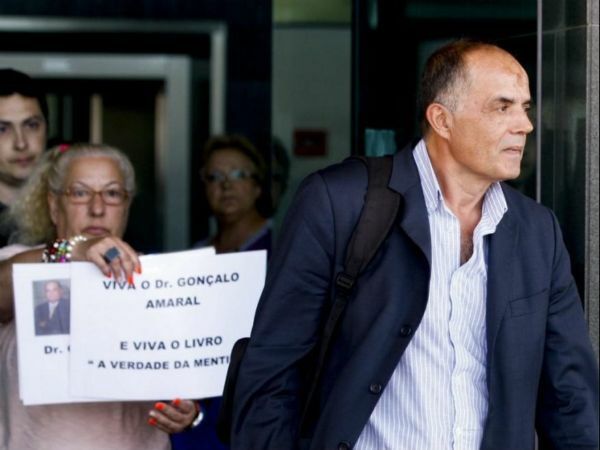 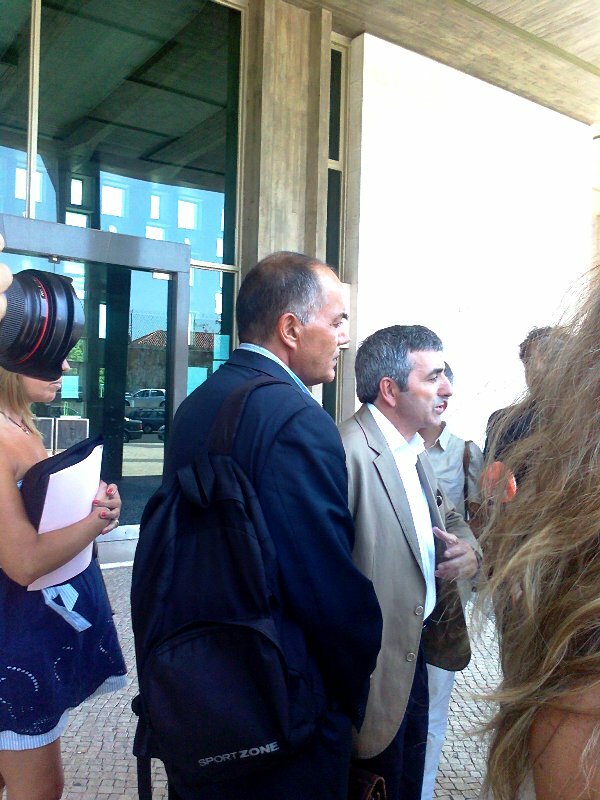 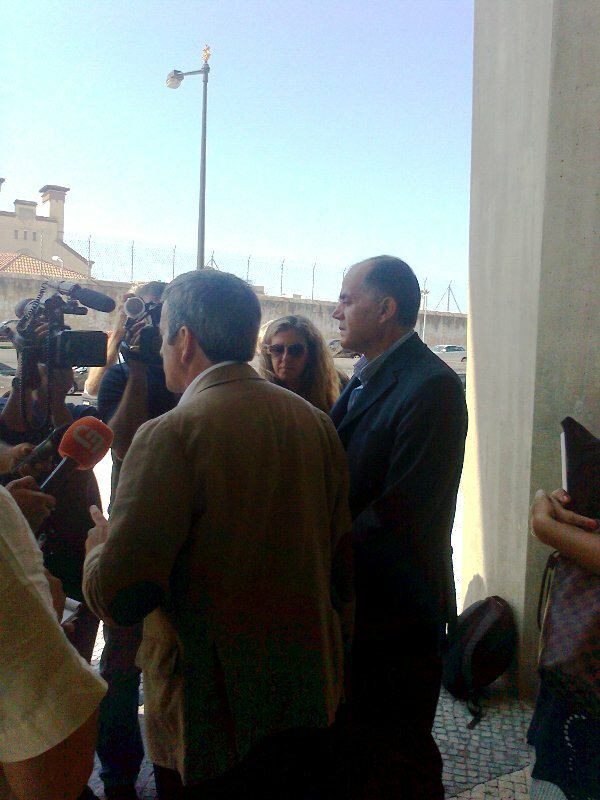 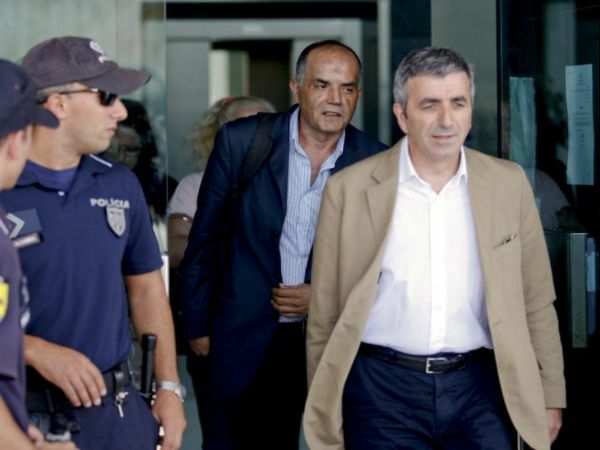 Photo By Anne Guedes 13-09-2013 Gonçalo Amaral and lawyer speak to the Press outside the Court. 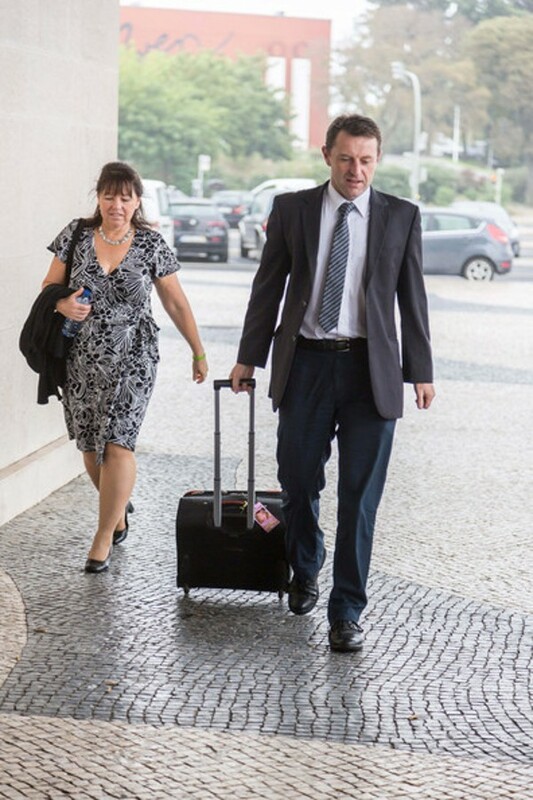 Photo By Anne Guedes 13-09-2013 These witnesses had no option but to return to their hotel when the judges failed to return to the tribunal after lunch. 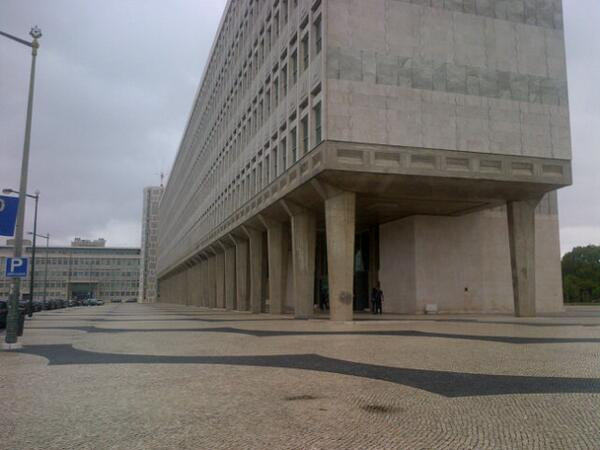 Photo By Anne Guedes 13-09-2013 An interior shot of the Palace of Justice. 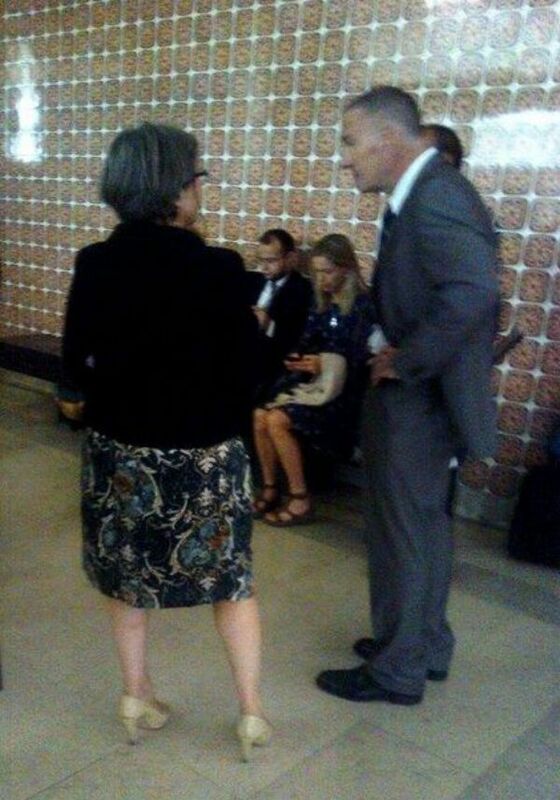 In the background the Court interpreter.